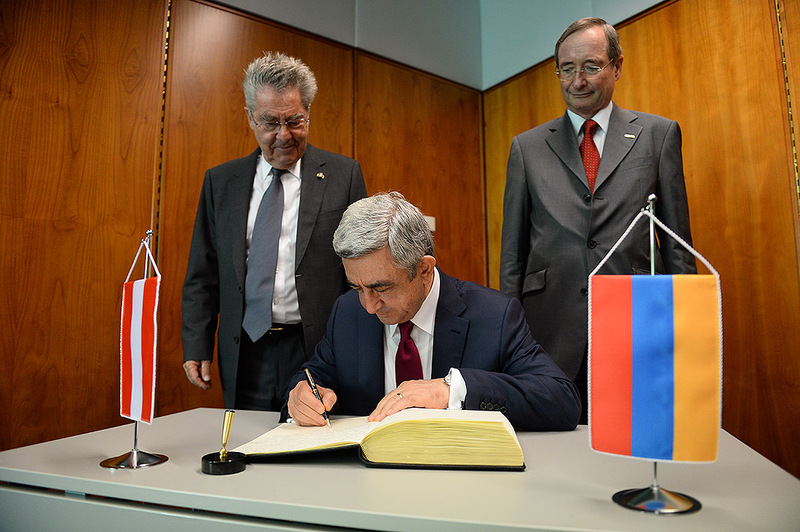 President Serzh Sargsyan has started his official visit to the Republic of Austria. 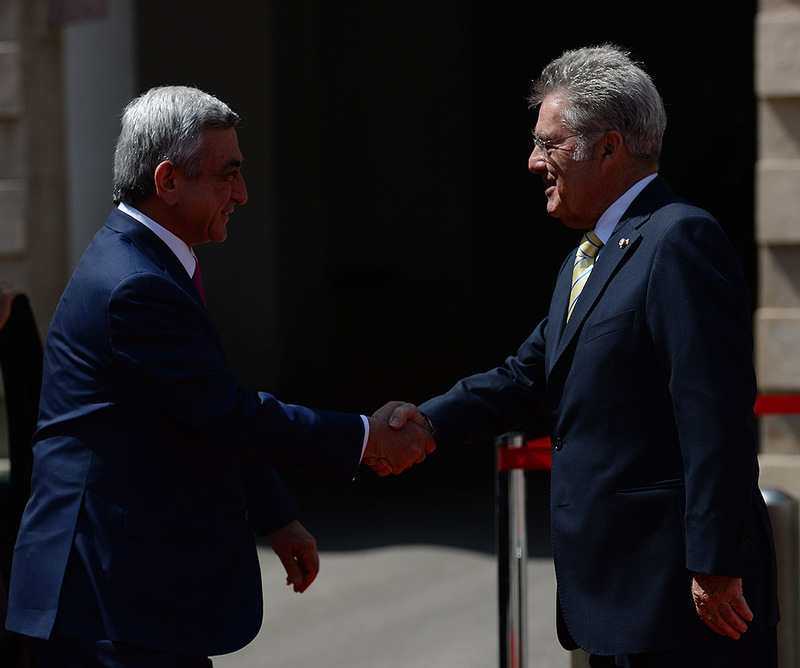 In the morning of June 11 Presidents Serzh Sargsyan of Armenia and Heinz Fischer of Austria held a private meeting followed by negotiations with the participation of the official delegations. 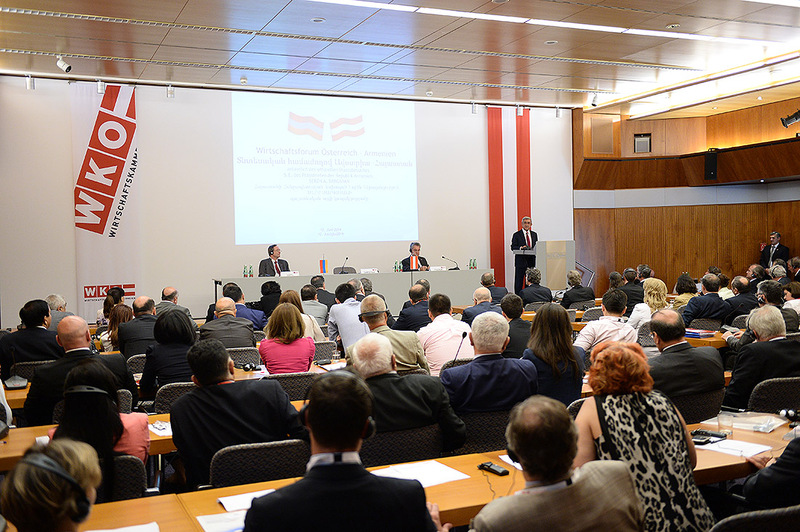 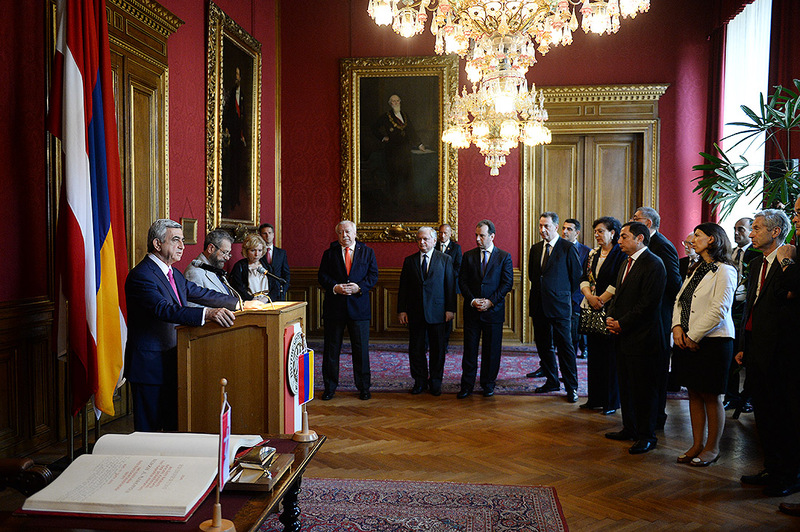 As a result, documents aimed at promoting the Armenian-Austrian cooperation in a number of spheres have been concluded. 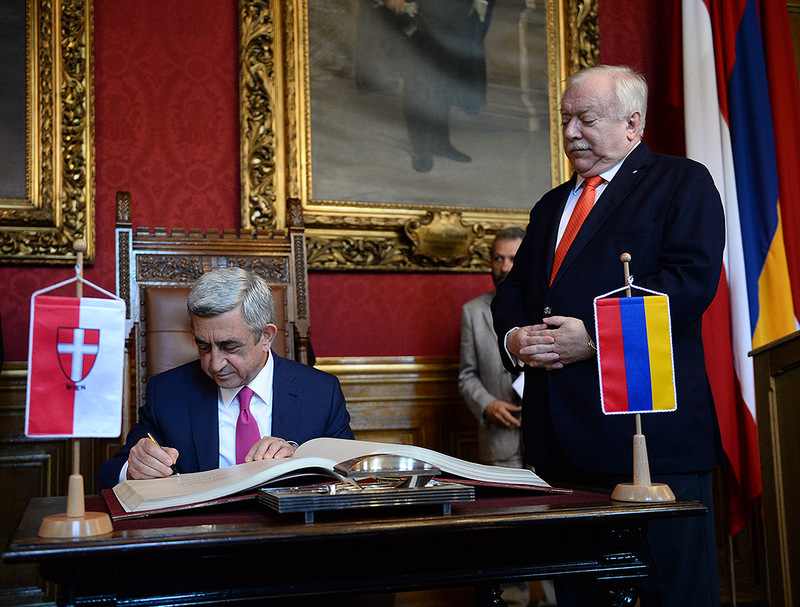 Particularly, the presidents of the two states signed the Declaration on Friendly Relations and Partnership between the Republic of Austria and the Republic of Armenia. 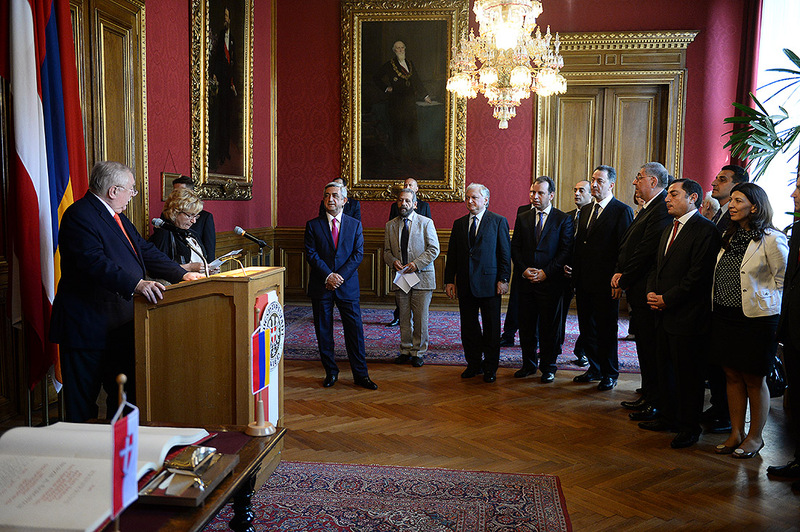 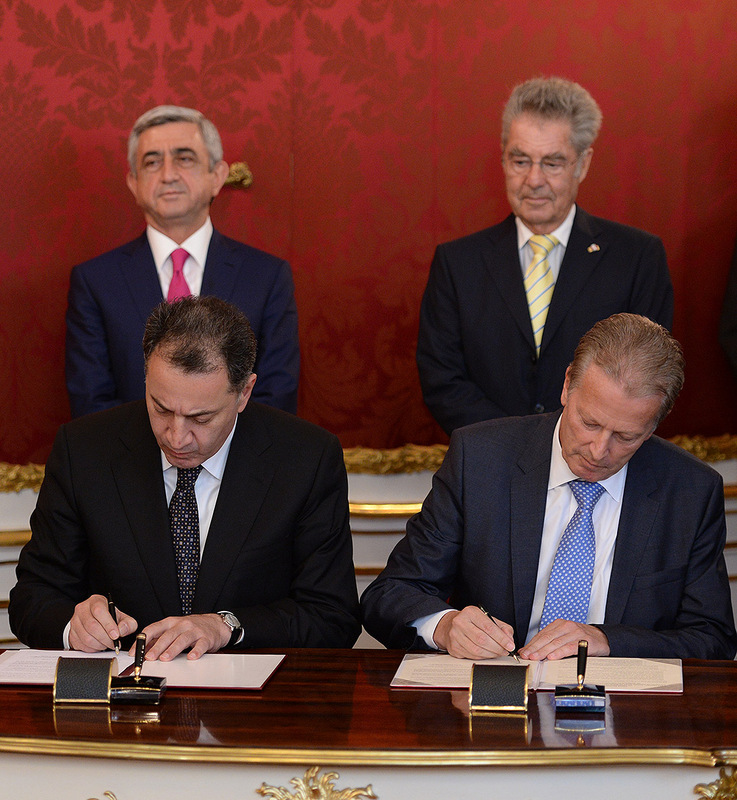 Then, with the participation of the presidents the Joint Action Plan for Cooperation in Tourism between the RA Ministry of Economy and the Austrian Federal Ministry of Science, Research and Economy and the Agreement on Air Transport between the Armenian government and the Austrian government were concluded. 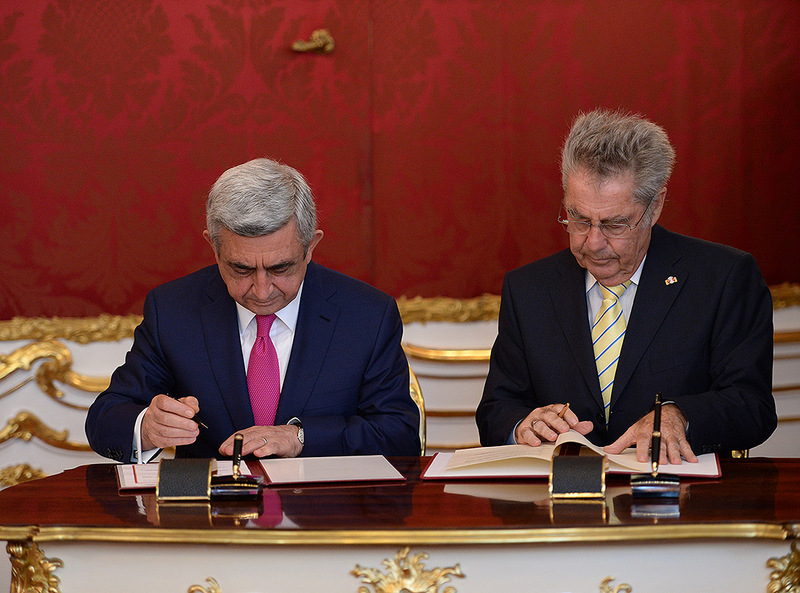 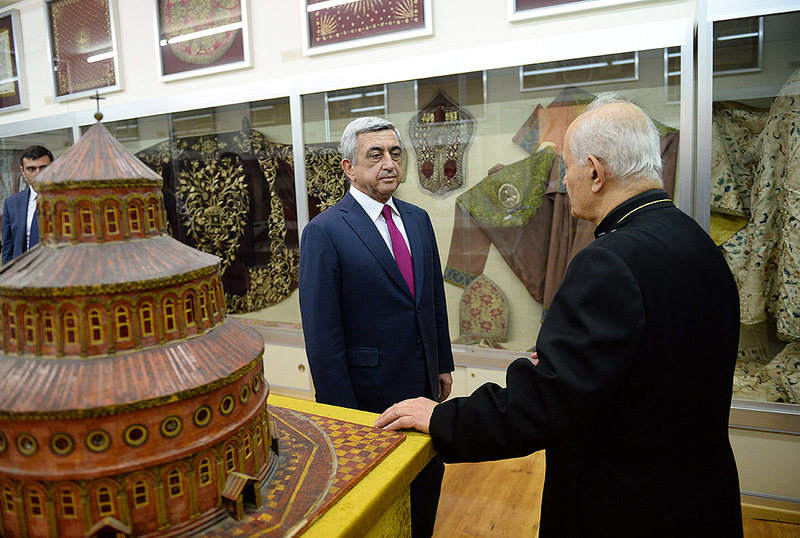 Within the framework of the visit, two agreements have been concluded – the Export Loan Agreement on Financing the Refurbishment Project of Aram Khachaturian Concert Hall between the Republic of Armenia, namely the Ministry of Finance and Erste Bank - and two more equipment supply agreements between the RA Ministry of Culture and the Austrian company Waagner Biro. 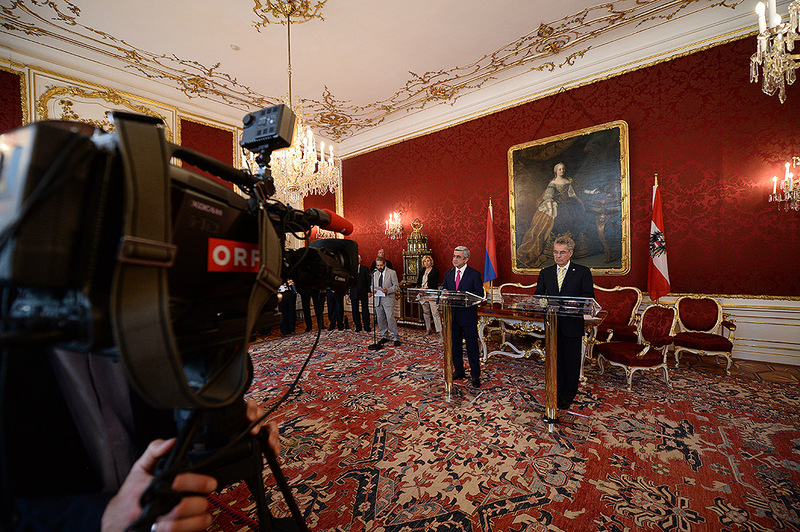 The Presidents of Armenia and Austria summed up the negotiation results at a joint press conference and answered the questions of journalists. 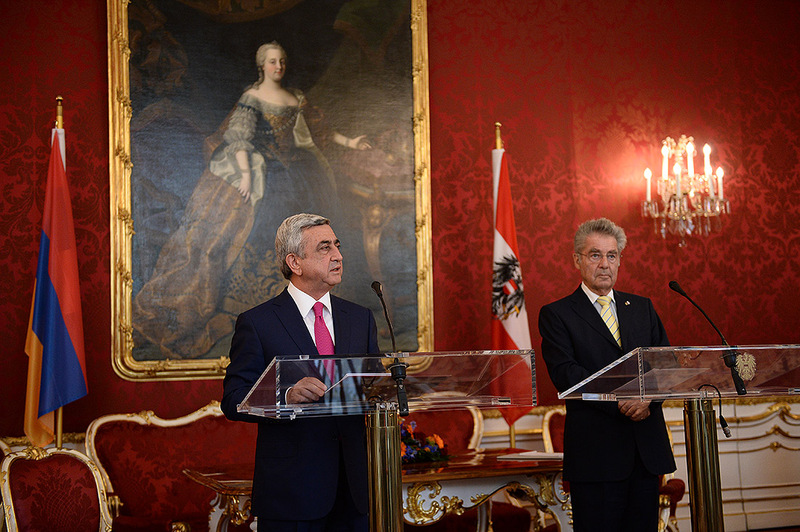 Afterwards, on behalf of Austrian President Heinz Fischer an official dinner was held in honor of President Serzh Sargsyan having arrived in the Republic of Austria on an official visit. 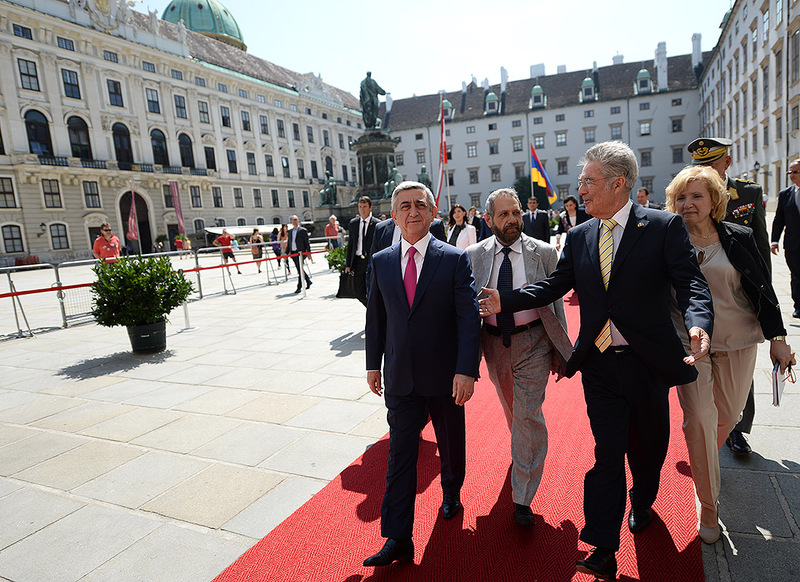 President Serzh Sargsyan on June 11 held a meeting with the mayor of Vienna Michael Haupl. 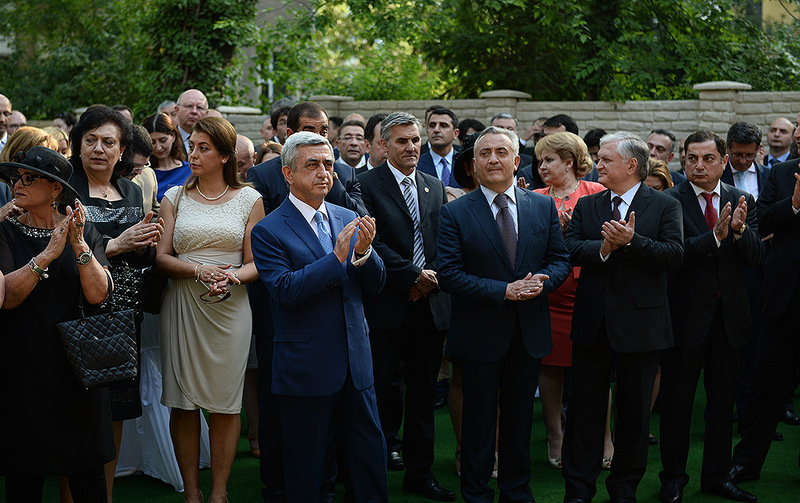 At the city hall, the President of Armenia gave a welcome speech for the mayor and all the participants. 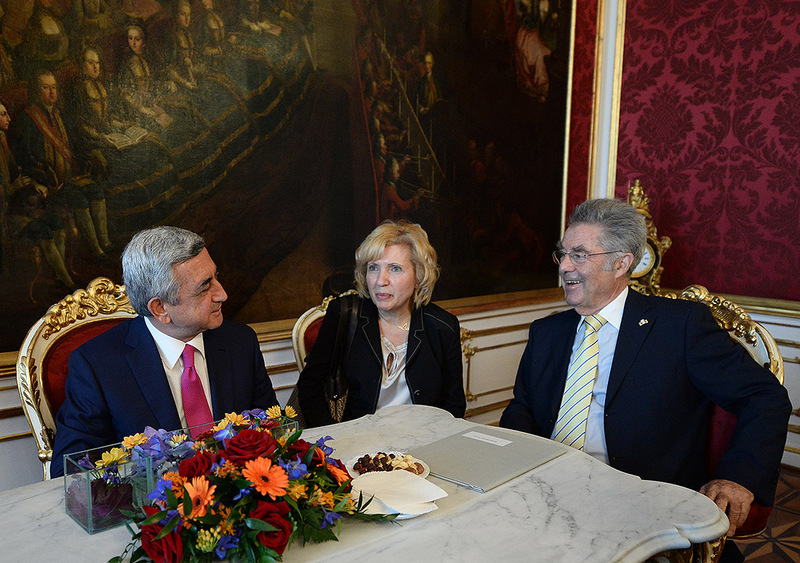 On his official visit to the Republic of Austria, President Serzh Sargsyan on June 11 held a meeting with the President of the National Council of Austria Barbara Prammer. 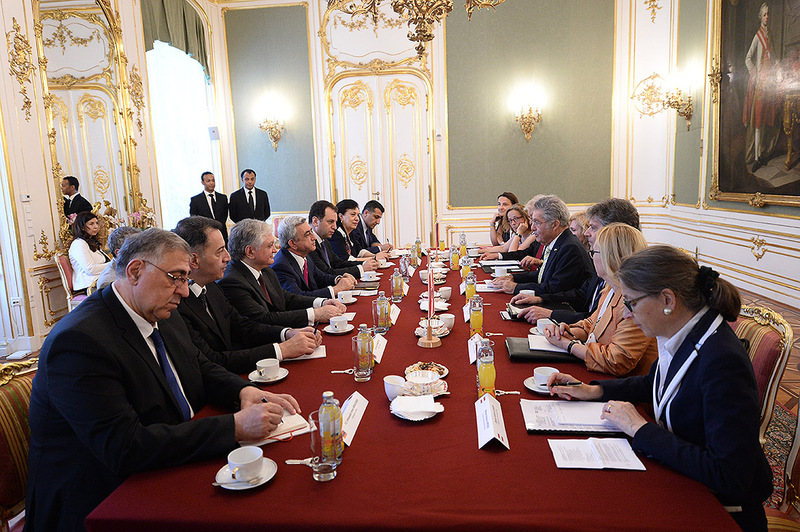 The interlocutors discussed issues concerning the Armenian-Austrian multidimensional collaboration agenda. 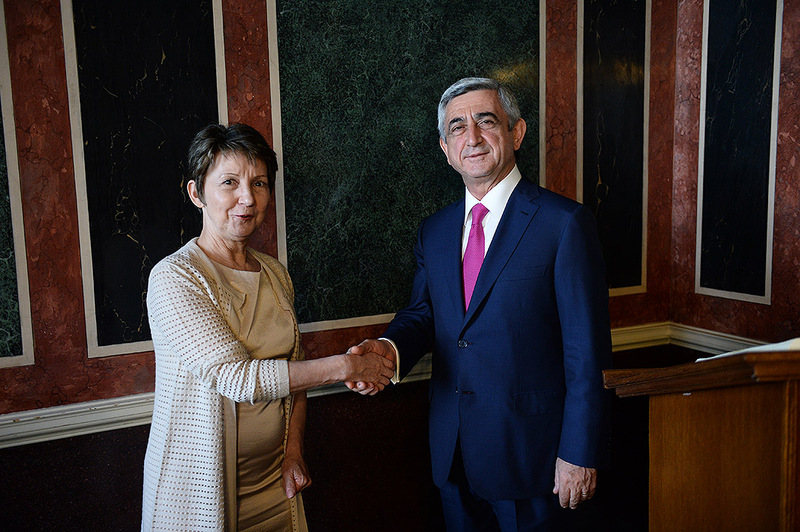 They stressed the importance of high-level reciprocal visits and intensifying the mutual dialogue which according to President Serzh Sargsyan and the President of the Austrian National Council Barbara Prammer, is the guarantee for promoting cooperation between the two countries. 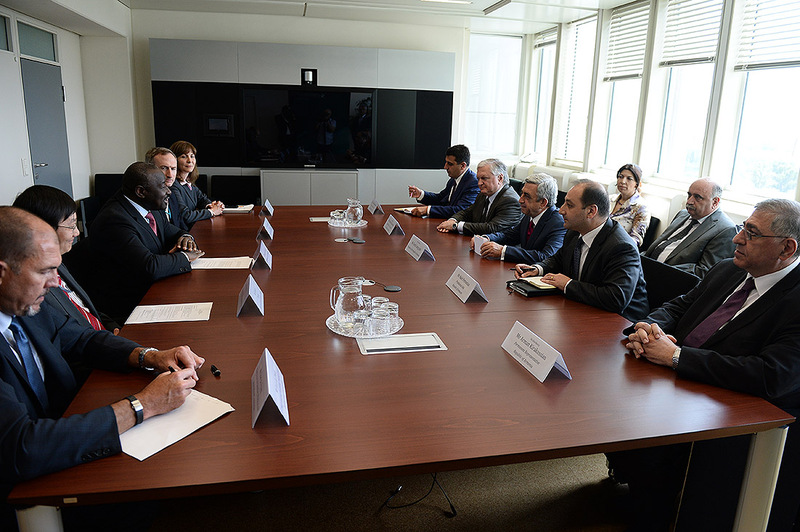 The interlocutors paid special emphasis to the role of inter-parliamentary ties in advancing the relations between the two countries and in that context stressed the need for strengthening the ties between the parliaments and making joint efforts at promoting cooperation. 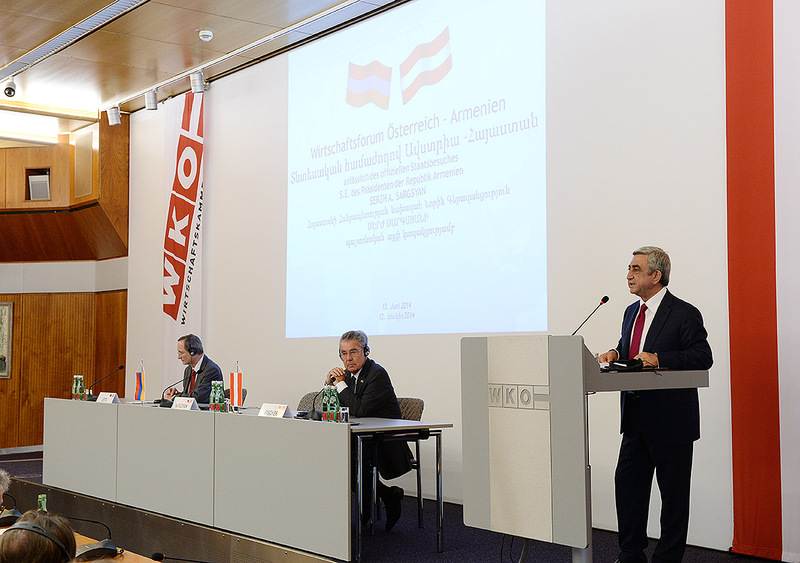 Serzh Sargsyan stated with satisfaction that the Armenian-Austrian inter-state relations grounded on friendship keep on developing successfully the illustration of which is his current visit to Austria. 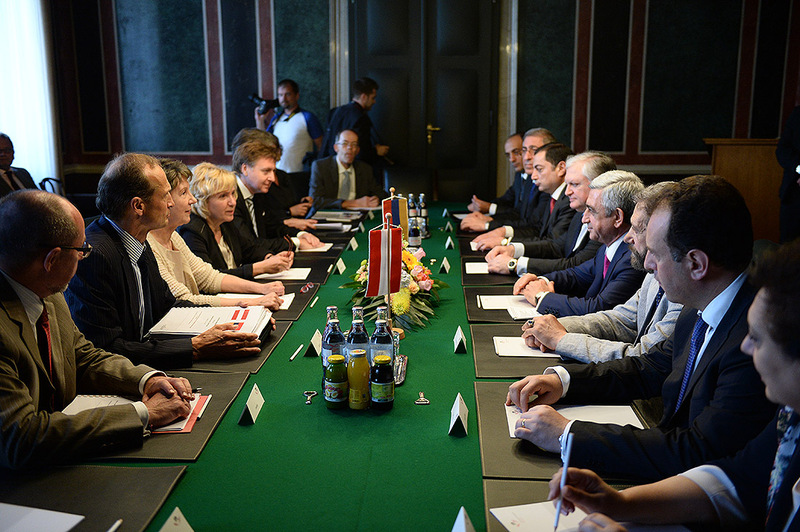 The interlocutors stressed the importance of conducting regular political dialogue and further enlarging the cooperation in the spheres of economy, culture, science, as well as in other spheres of reciprocal concern in order to keep the bilateral relations at a high level. 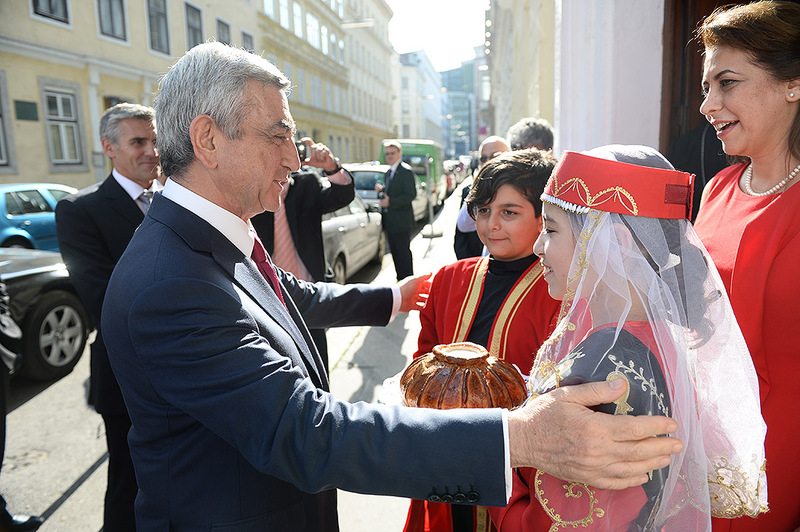 On the first day of his official visit to Austria, President Serzh Sargsyan is to attend the opening ceremony of Hayastan multifunctional (economic, financial, cultural, technological) center in Vienna. 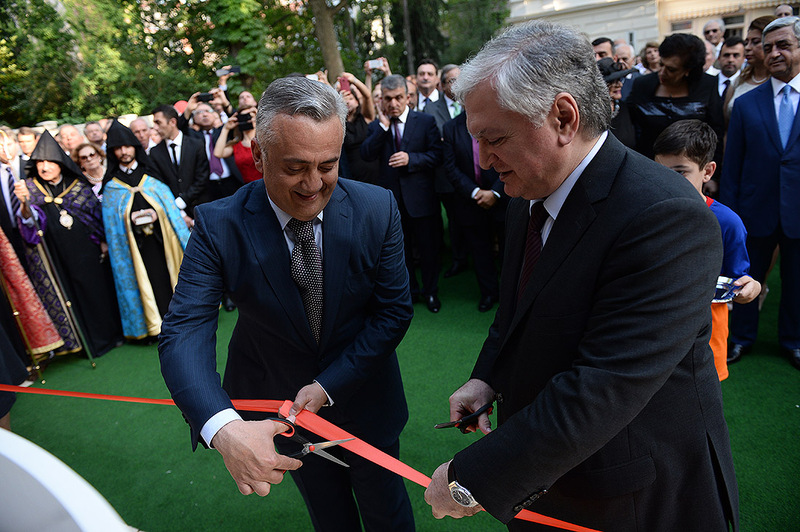 It was built based on the Memorandum of Intent signed between the RA Central Bank and the RA Ministry of Foreign Affairs in Yerevan on April 30, 2013. 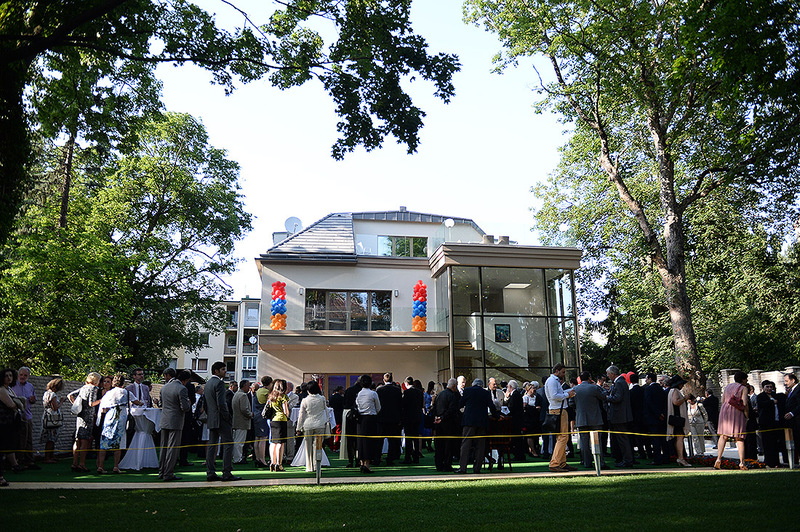 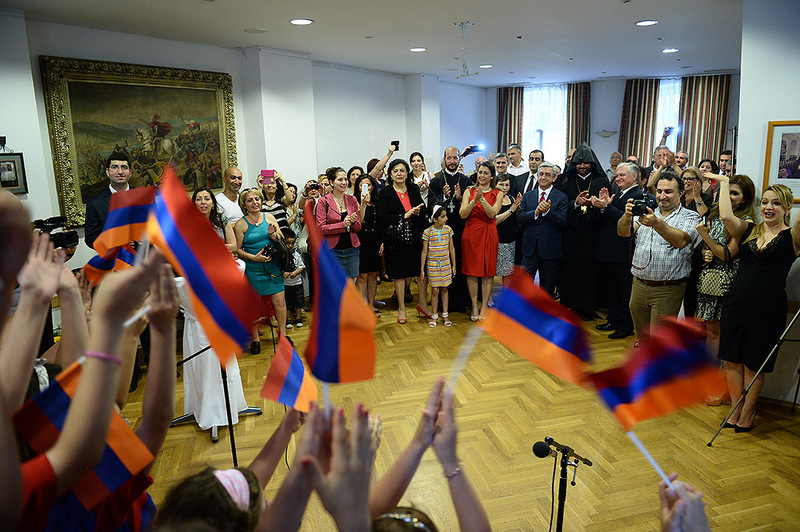 The center is the part of the Armenian diplomatic mission and is granted privileges and immunity defined by the Vienna Convention and other bilateral agreements on regulating the status of diplomatic missions. 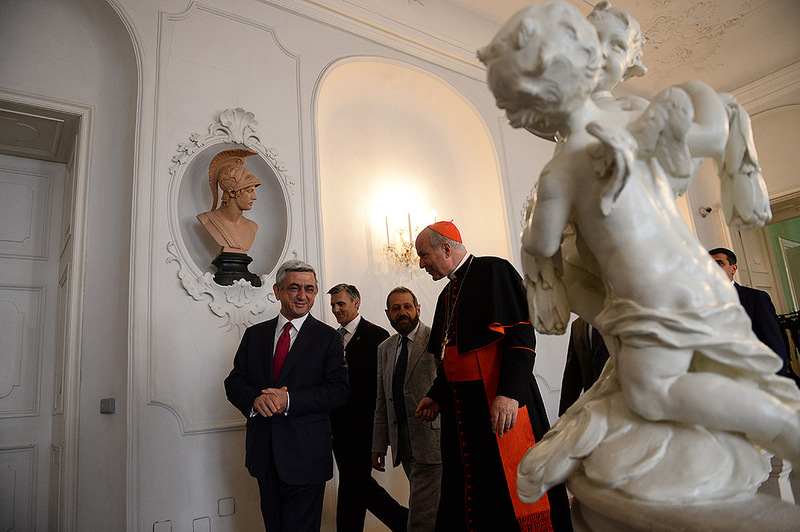 On the second day of his official visit to the Republic of Austria, June 12, President Serzh Sargsyan held a meeting with the Archbishop of Vienna and the President of the Austrian Bishops’ Conference Christoph Schonborn. 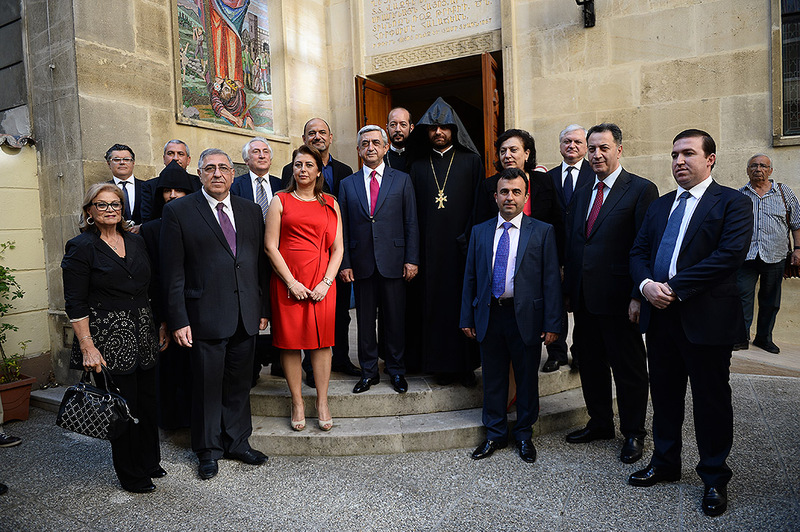 The interlocutors stated with satisfaction that the Armenian Apostolic Church and the Armenian Catholic Church have always maintained high-level relations which have acquired a new meaning since the RA Independence. 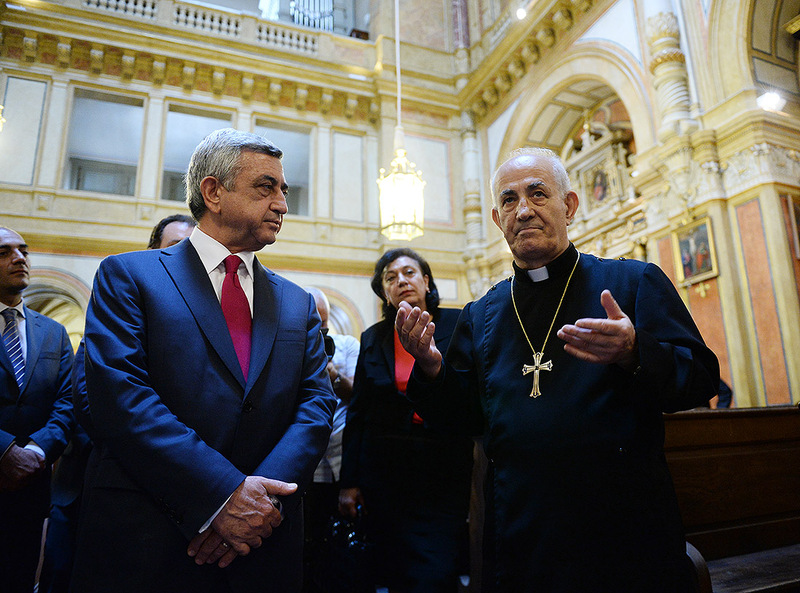 Serzh Sargsyan underscored that Armenia is greatly interested in promoting multidimensional collaboration with Austria and stressed the role of the cooperation between the Armenian Apostolic and the Armenian Catholic Churches in reinforcing the friendship of the two peoples. 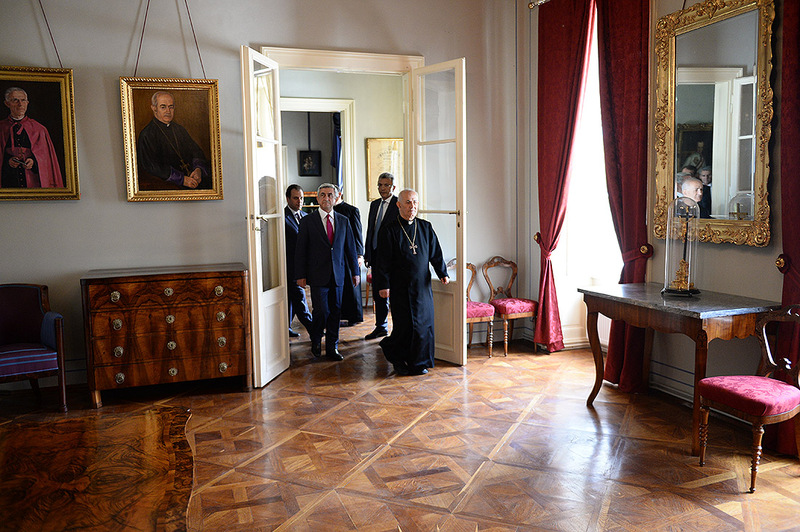 The president noted that being the president of the first country to adopt Christianity as a state religion he takes every opportunity to meet with local spiritual leaders during his foreign visits. 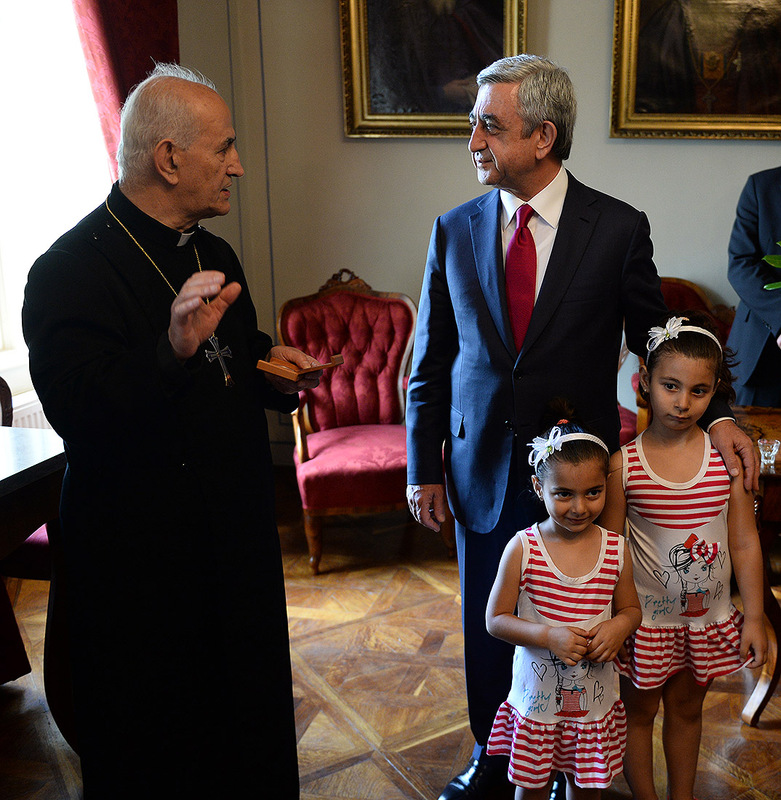 According to Serzh Sargsyan, Armenians perfectly remember the great impressions Pope Saint John Paul II received during his visit to Armenia in 2001 when the Armenian people celebrated the 1700th anniversary of adopting Christianity in Armenia. 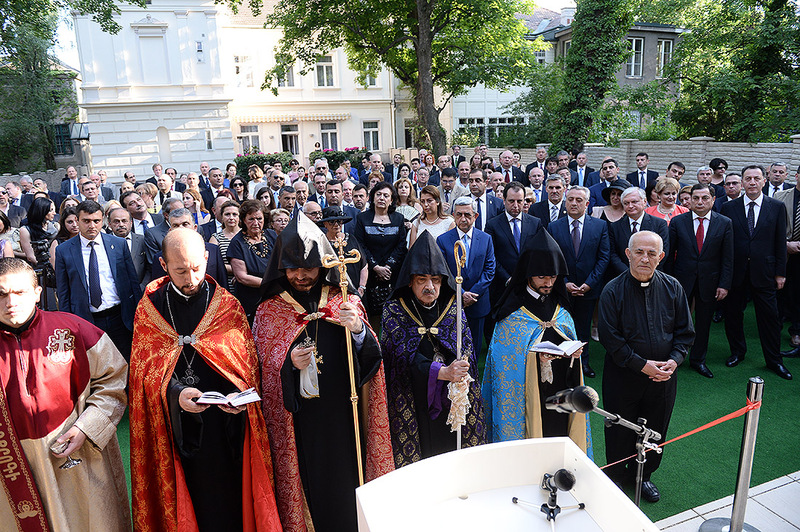 The president mentioned that it is both valuable and important for Armenians that Pope Saint John Paul II of blessed memory officially recognized and condemned the Armenian Genocide (in his statement made in Vatican in 2000 and in the other statement made jointly with the Supreme Patriarch and Catholicos of All Armenians Karekin II in Holy Etchmiadzin in 2001). 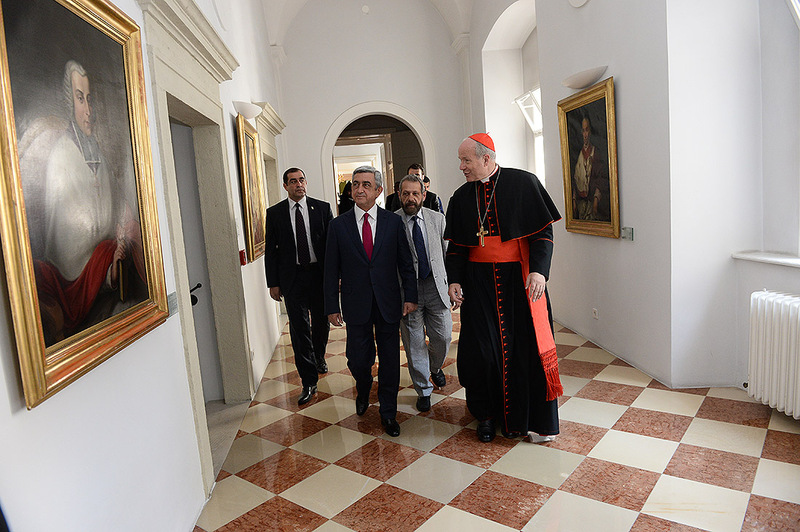 The interlocutors attached great importance to establishing an embassy of the Republic of Armenia in the Holy See targeted at developing the relations between the Armenian Apostolic and the Armenian Catholic Churches. 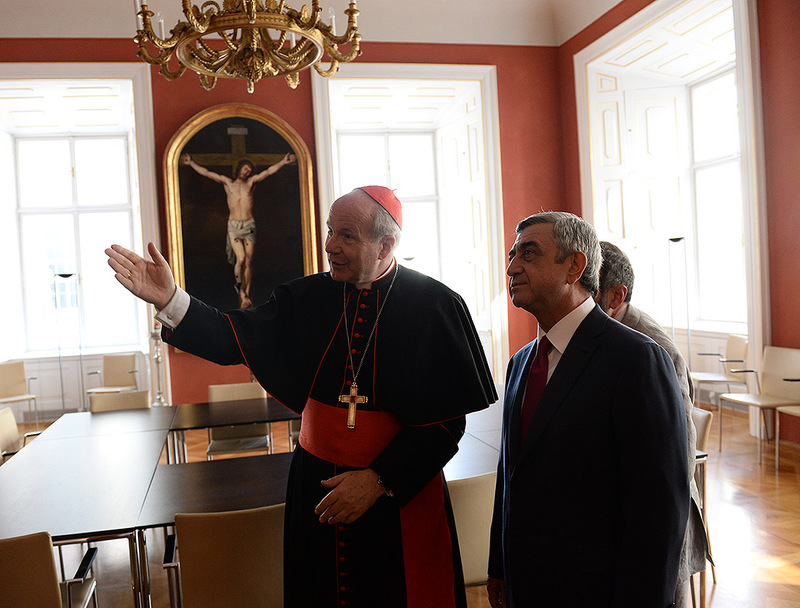 The RA President and the Archbishop of Vienna, the President of the Austrian Bishops’ Conference Christoph Schonborn stated with satisfaction that close ties have been established with the Austrian Catholic Church in the framework of which a number of joint educational and cultural programs have been implemented. 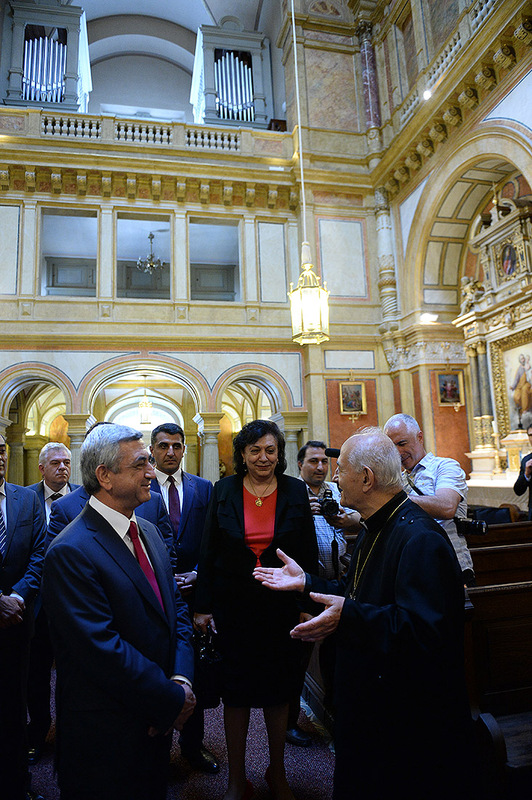 At the end of the meeting, President Serzh Sargsyan thanked the Archbishop of Vienna and the Austrian government for displaying a positive attitude towards and rendering assistance to the Armenian community. 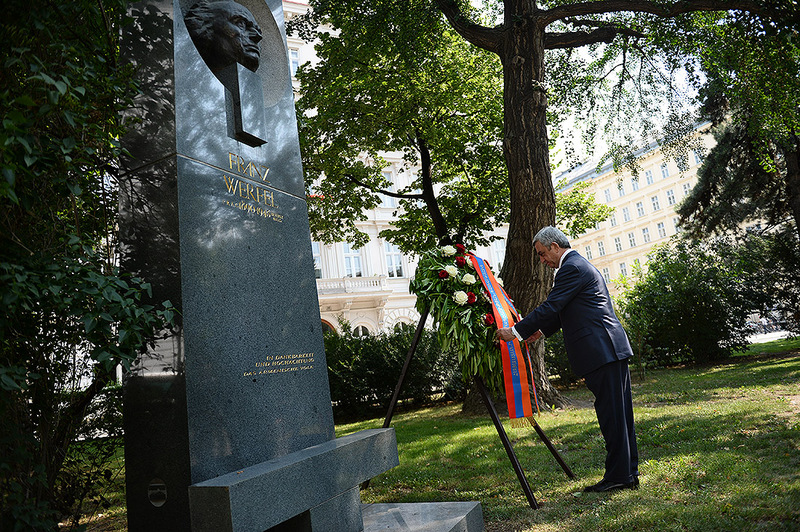 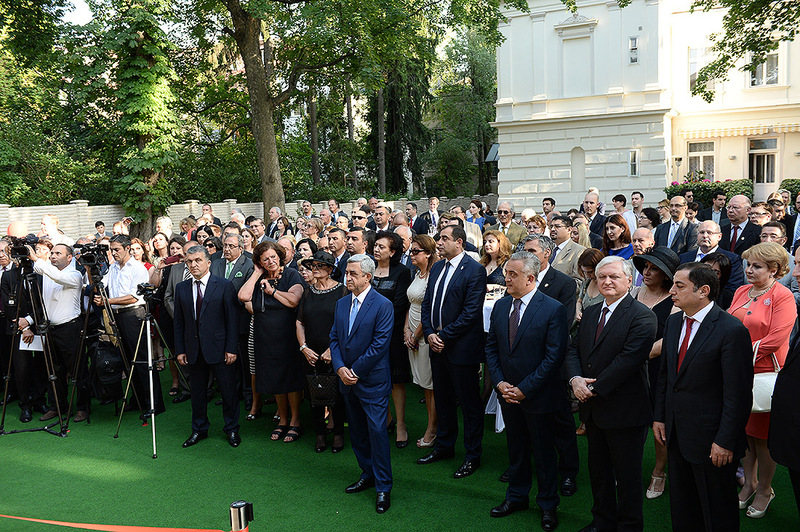 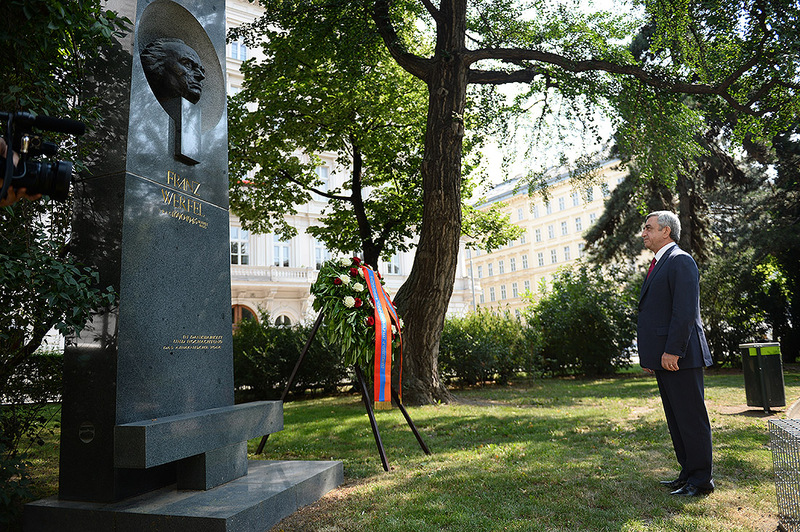 In Vienna, President Serzh Sargsyan paid tribute to the memory of the Austrian writer and humanitarian Franz Werfel by laying a wreath at his memorial. 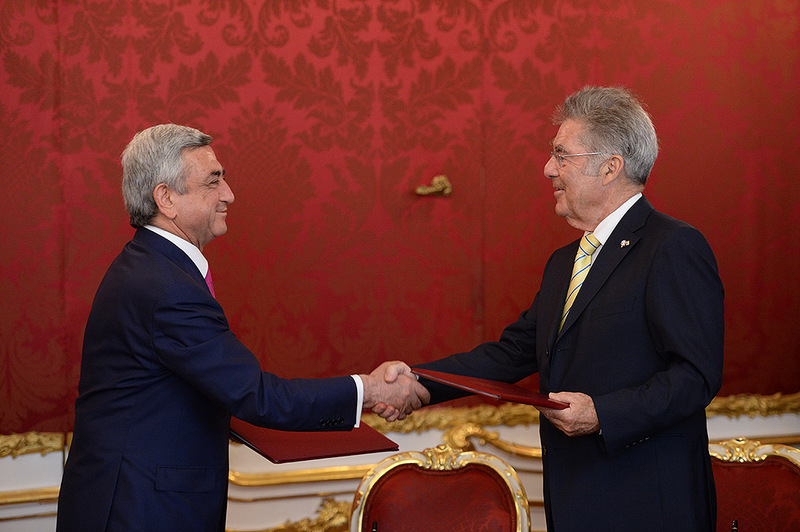 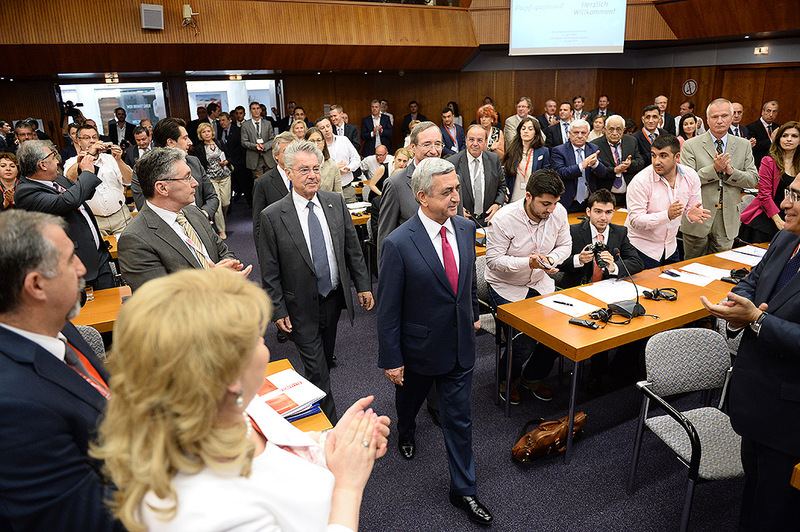 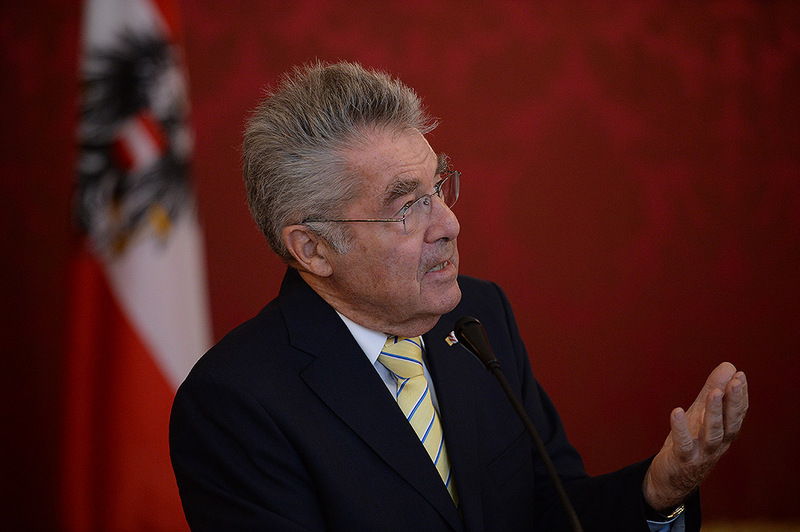 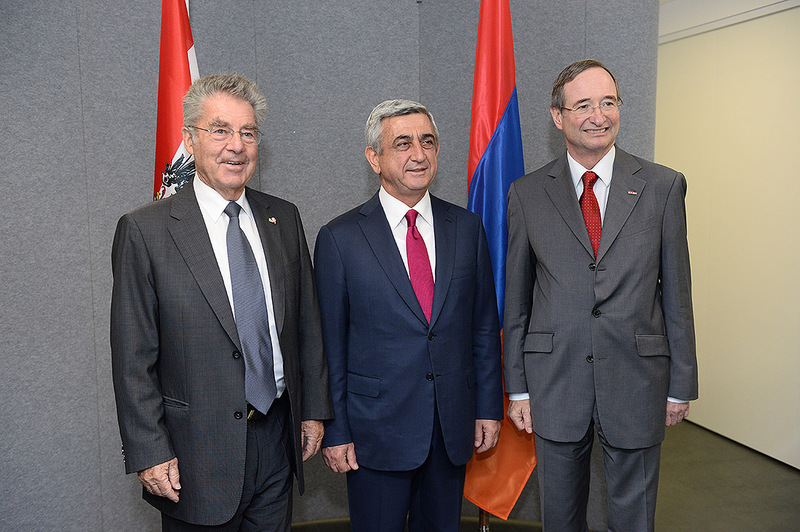 President Serzh Sargsyan and President Heinz Fischer of the Republic of Austria on June 12 took part in the opening ceremony of an Armenian-Austrian economic forum at the Austrian Federal Economic Chamber. 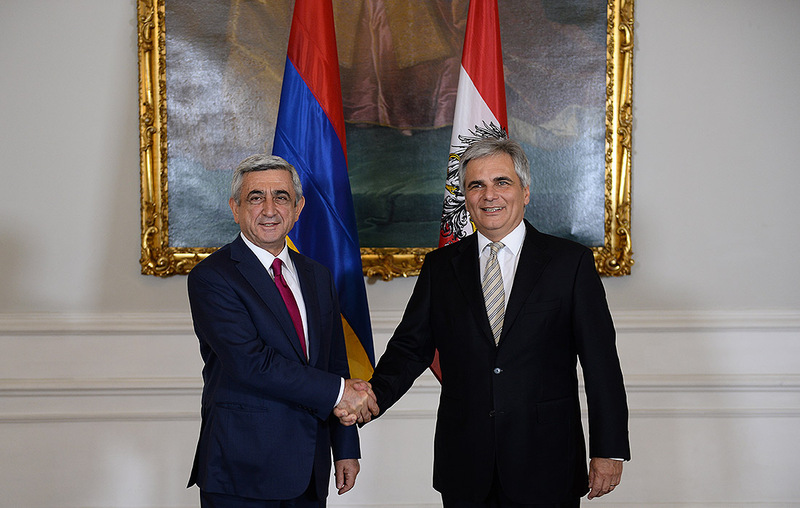 Prior to it, President Serzh Sargsyan had held a meeting with the President of the Chamber Christoph Leitl. 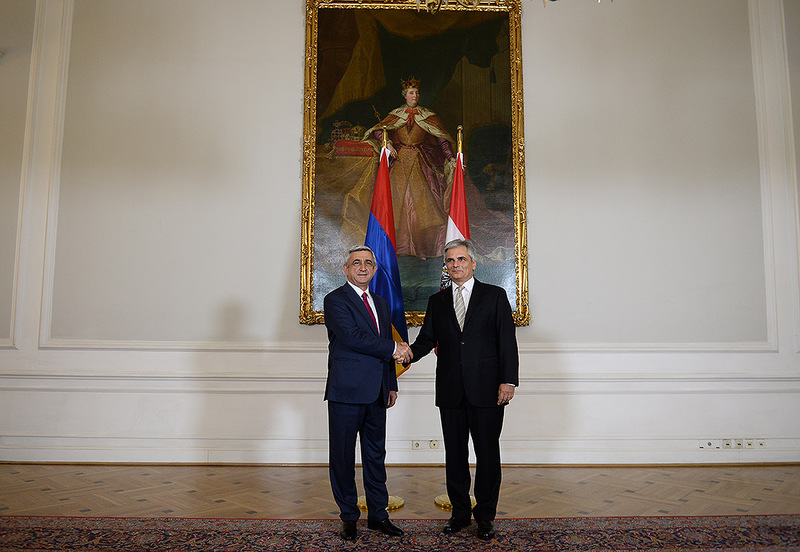 The interlocutors placed great importance on taking further steps to enlarge the Armenian-Austrian trade and economic collaboration and assured that the Armenian-Austrian economic forum taking place within the framework of the Armenian President’s visit will play a vital role in stimulating contacts between the businessmen of the two countries and promoting bilateral cooperation. 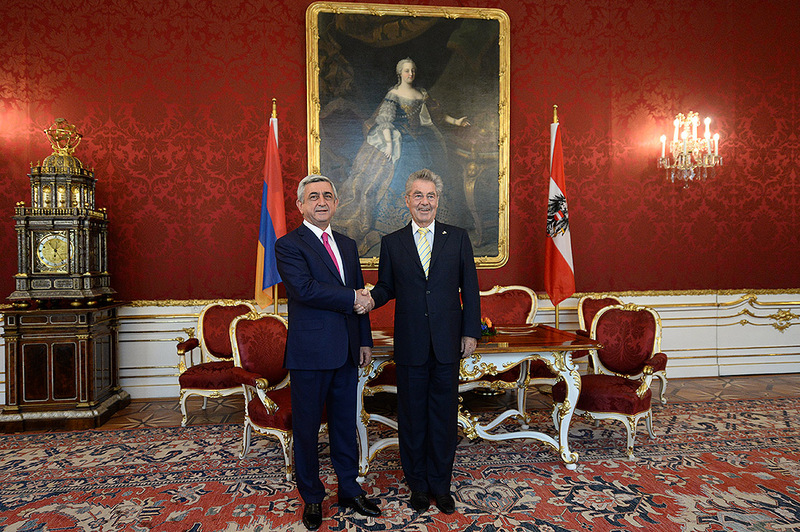 President Serzh Sargsyan and the President of the Austrian Federal Economic Chamber Christoph Leitl stated with satisfaction that the indicators of the bilateral trade circulation continue to gradually improve. 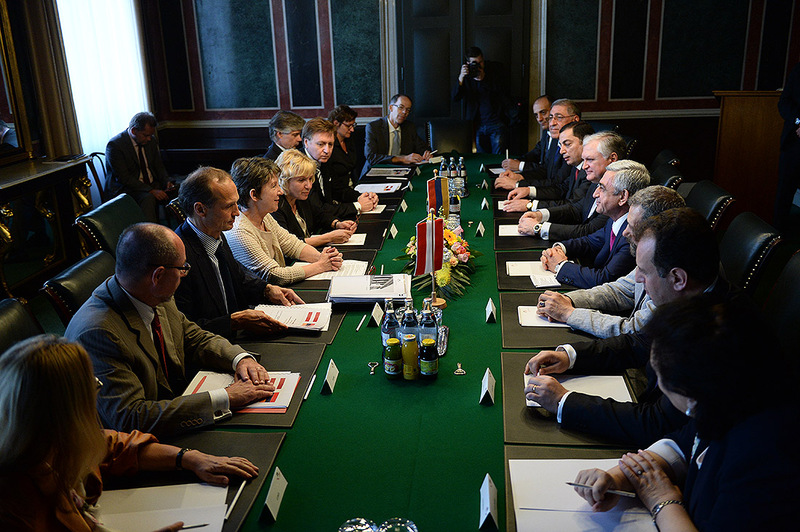 However, according to them, there is still a great need to foster the trade and economic cooperation. 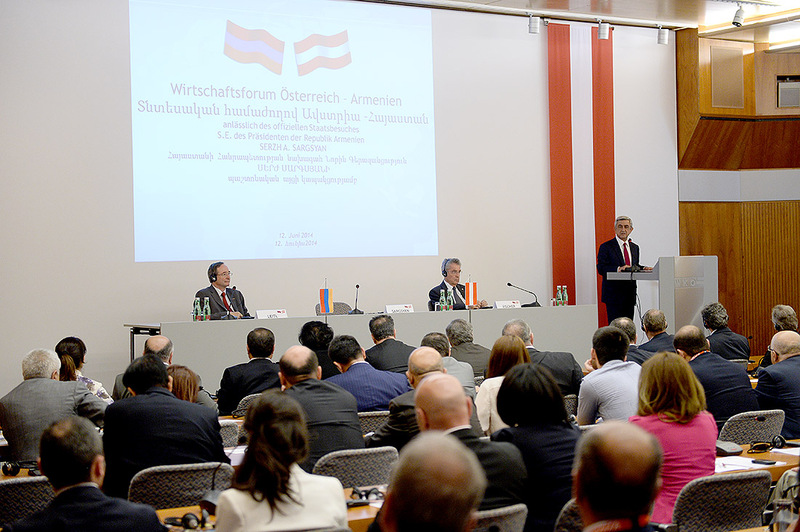 The Presidents of Armenia and Austria welcomed the Armenian-Austrian economic forum and in their welcome speeches wished the forum activities to be successful for the benefit of promoting economic collaboration between the two countries. 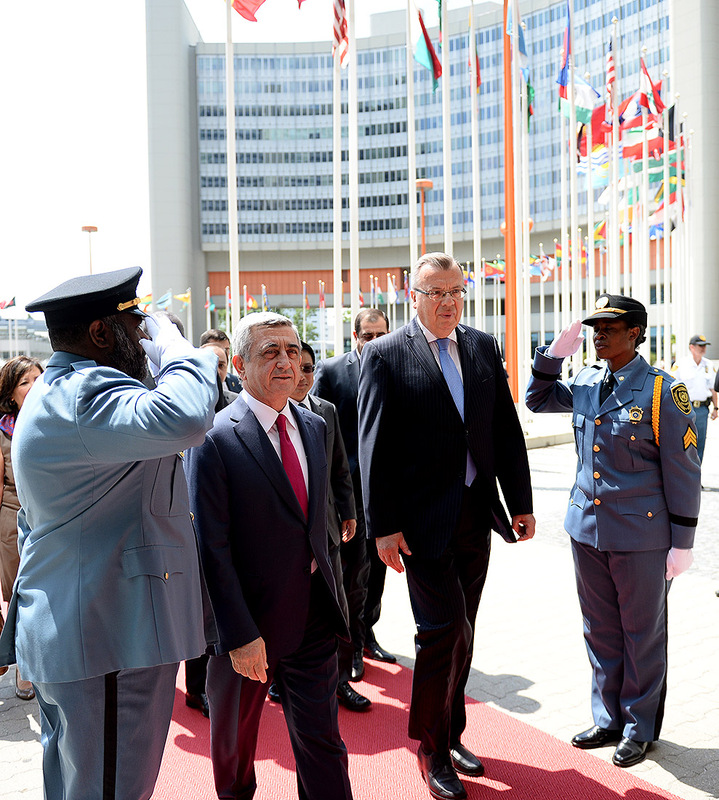 At the UN Office in Vienna, President Serzh Sargsyan held meetings with the representatives of the organization UN Deputy Secretary-General and the Executive Director of the United Nations Office on Drugs and Crime (UNODC) Yuri Fedotov, the Director-General of the United Nations Industrial Development Organization (UNIDO) Li Yong, the Executive Secretary of the Preparatory Commission for the Comprehensive Nuclear-Test-Ban Treaty Organization (CTBTO) Lassina Zerbo and the Director-General of the International Atomic Energy Agency (IAEA) Yukiya Amano. 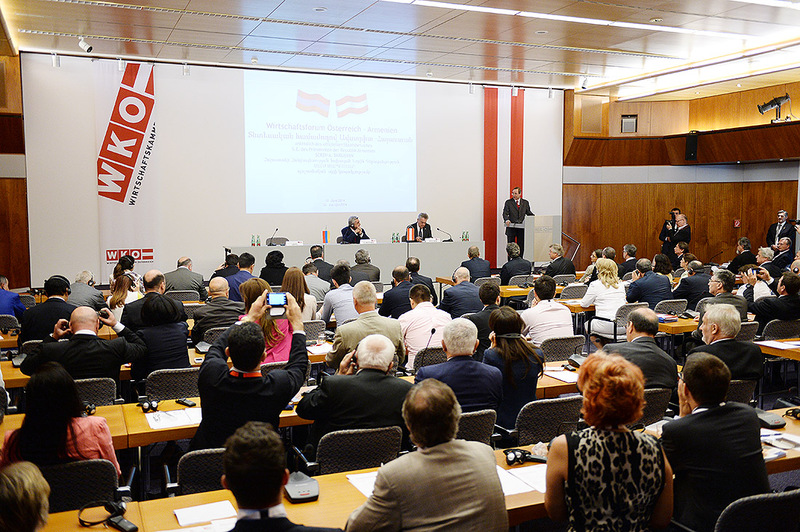 At the meeting with Yuri Fedotov, the parties underscored that the proliferation of drugs and crime is one of the most dangerous challenges of the present time and the fight against them is a priority. 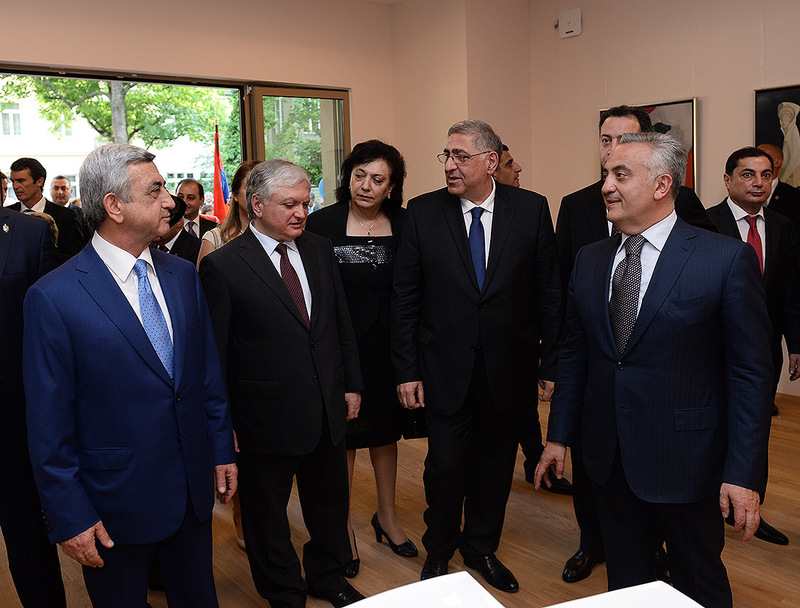 President Serzh Sargsyan noted that the UNODC plays an important role in coordinating close international cooperation in order to achieve results in that sphere. 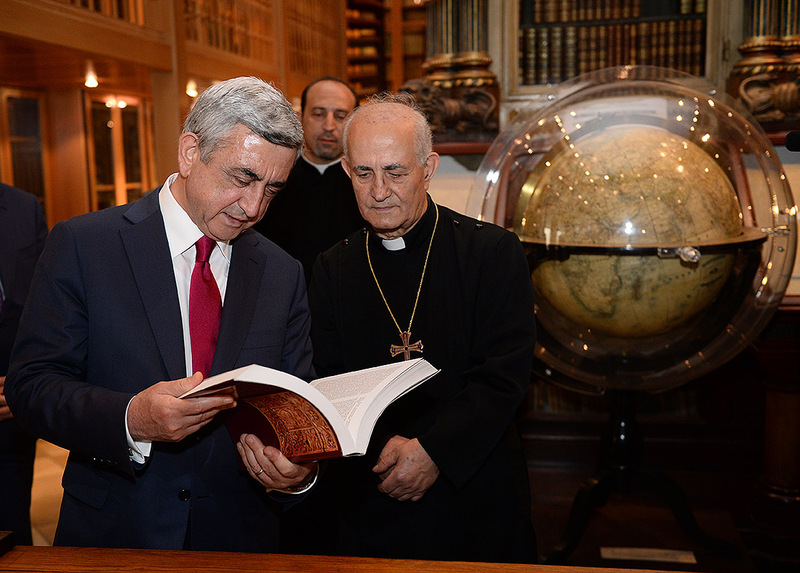 According to Serzh Sargsyan Armenia is actively involved in the joint struggle of the Paris Pact member countries for preventing the proliferation of drugs from Afghanistan to Europe and other places. 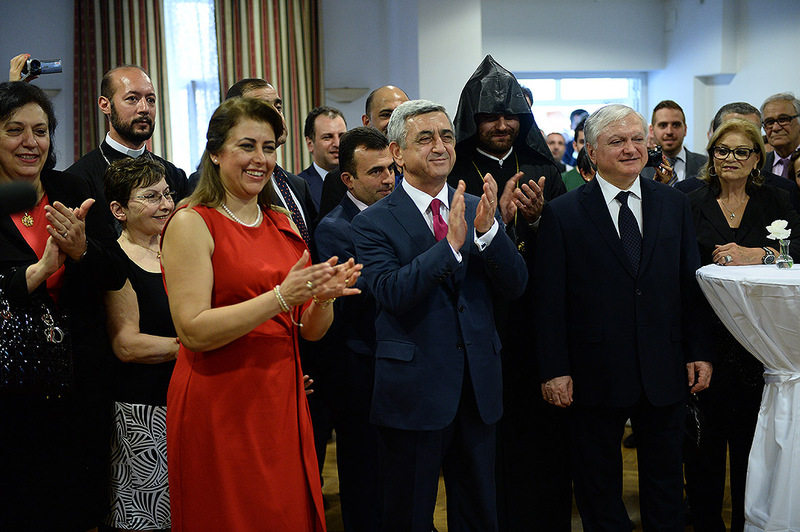 Armenia also participates in CSTO, CIS and NATO military exercises aimed at developing a joint action plan on the fight against the proliferation of drugs. 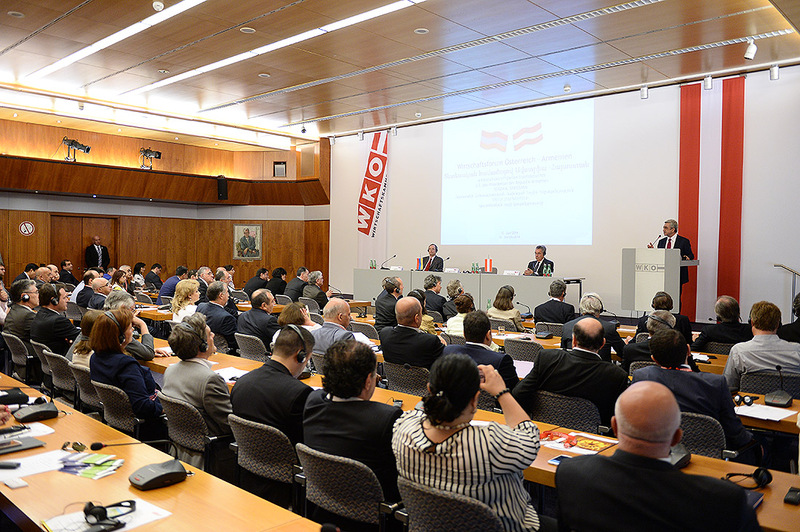 At the meeting, promoting the cooperation with the UN Office in Vienna was also touched upon. 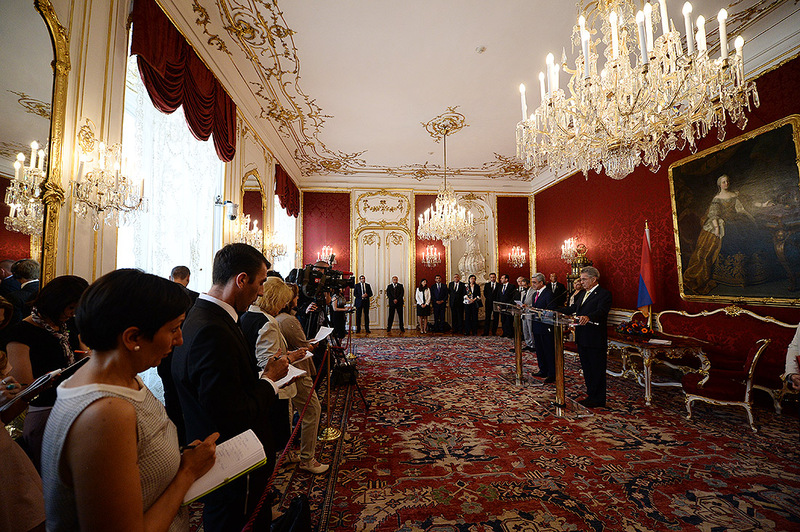 The president stated with satisfaction that as a result of Yuri Fedotov’s visit in last October the cooperation with the Office has been intensified. 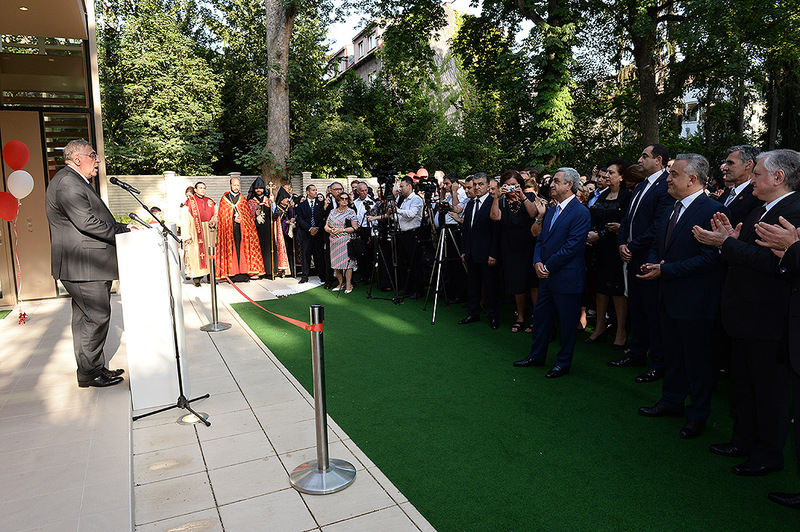 The president emphasized April’s visit of the delegation led by the Head of the UNODC Regional Office to Armenia during which the delegation outlined and put forward possible cooperation frameworks for discussion with the aim of developing plans and implementing them in the future. 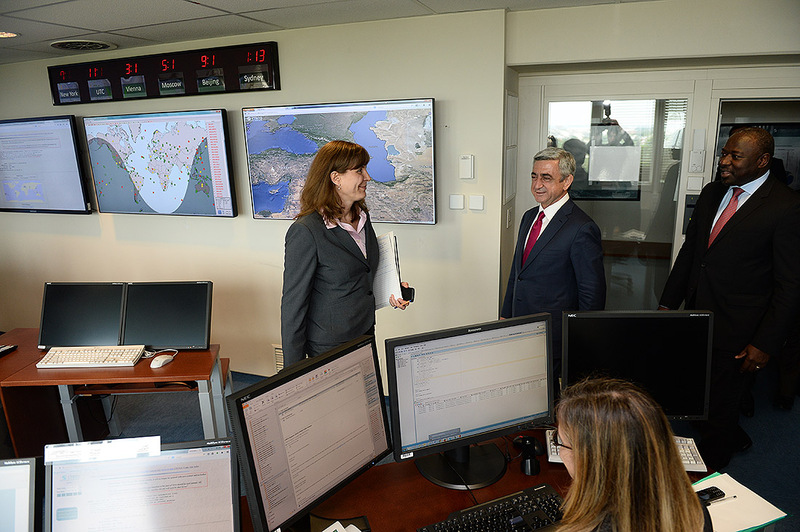 In addition, the interlocutors attached importance to establishing a UNODC regional office which will foster effective cooperation, will balance the Organization’s activities in the South Caucasus, as well as will help to find more rapid solutions to existing issues. 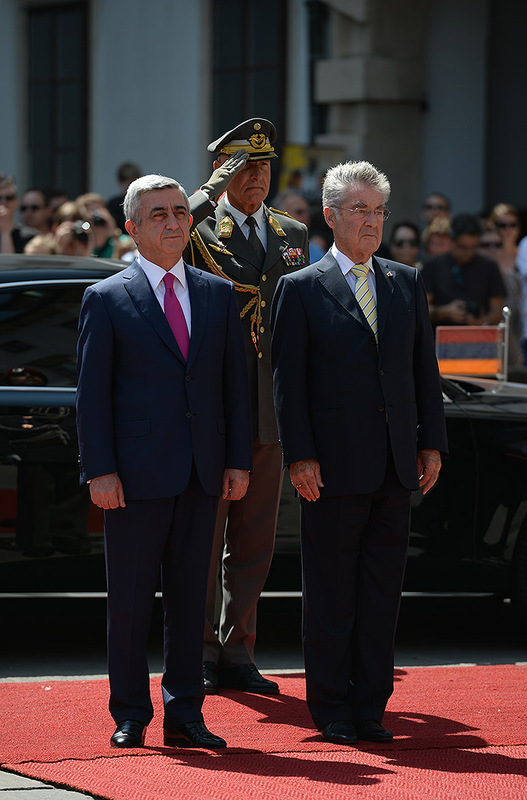 In this context, the President of Armenia underlined that despite the fact that comparing to numerous countries of the world drug addiction or its trafficking has not been a primary concern for Armenia, the relevant bodies do their best to control the proliferation of drugs, prevent their illegal trafficking and establishing adequate sanctions. 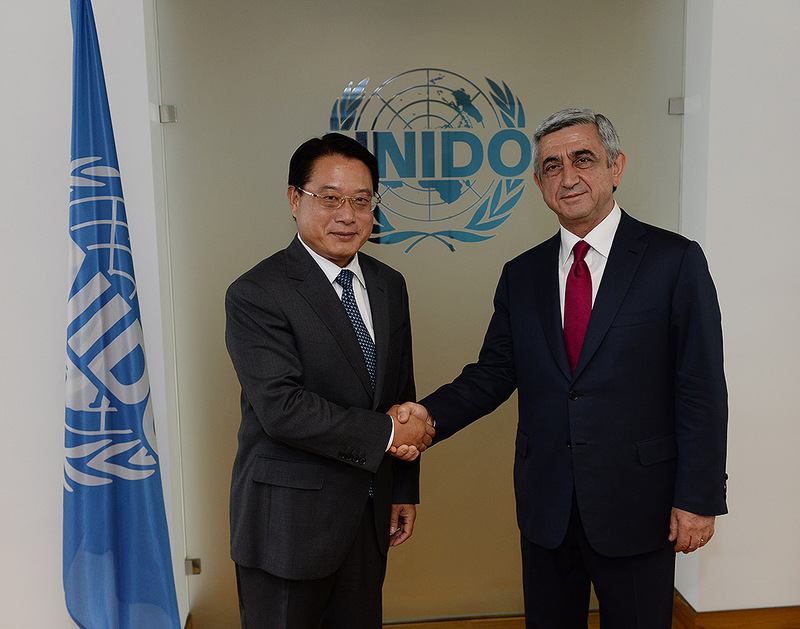 At the meeting with the Director-General of the UNIDO Li Yong President Serzh Sargsyan mentioned that Armenia places great importance on the mission carried out by that organization and highly appreciates its contribution to reducing global world poverty and ensuring stable economic growth. 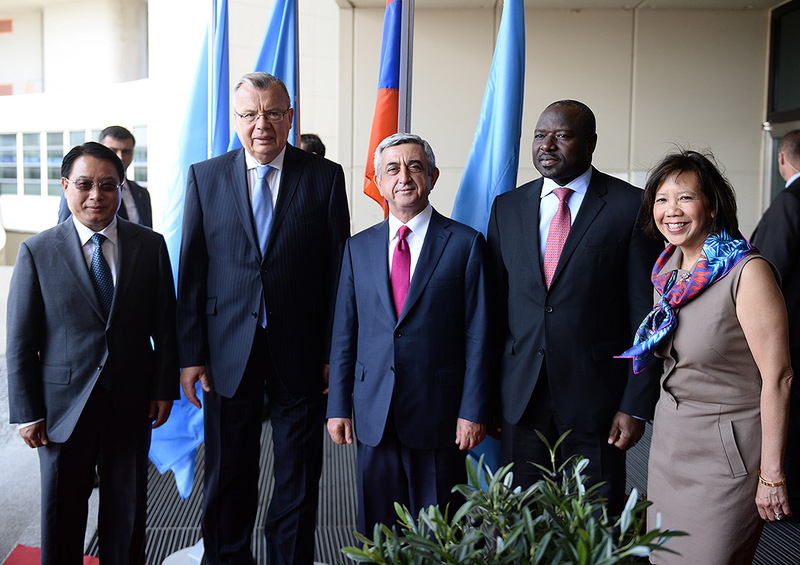 At the meeting, the interlocutors discussed the current course of Armenia’s cooperation with the UNIDO and the upcoming actions. 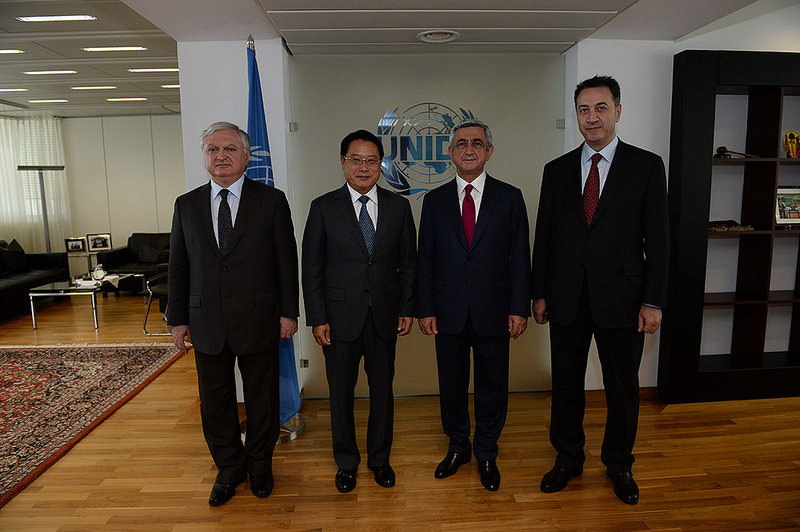 At the meeting, the upcoming visit of UNIDO Director-General Li Yong at the beginning of 2015 to Armenia was also touched upon. 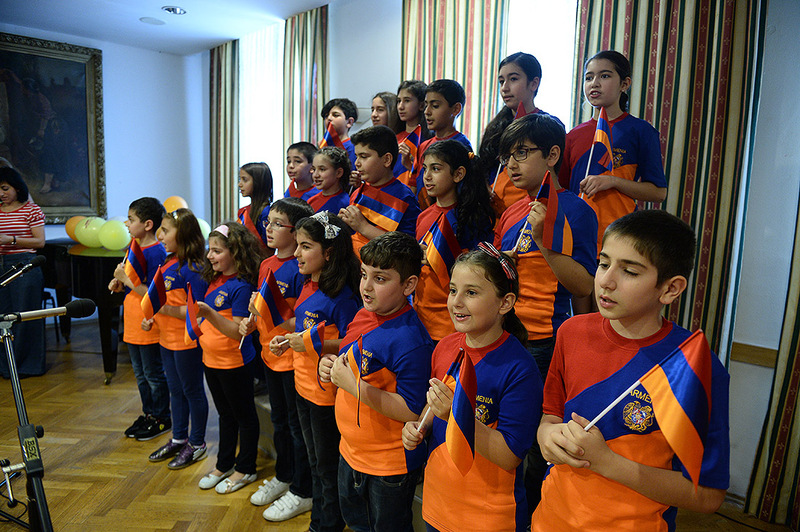 In that context, it was emphasized that the volume of technical assistance programs implemented by the UNIDO in Armenia over the recent years has been increased and the intensification of dialogue will raise the effectiveness of the existing programs and will expand the collaboration spheres. 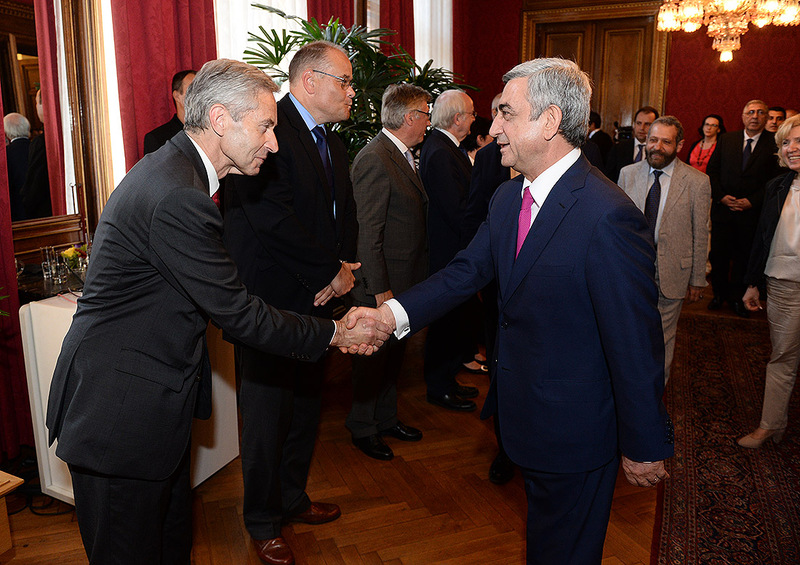 Serzh Sargsyan welcomed the fact that the UNIDO Director-General is ready to take part in an international investment forum to be held in Yerevan during that time. 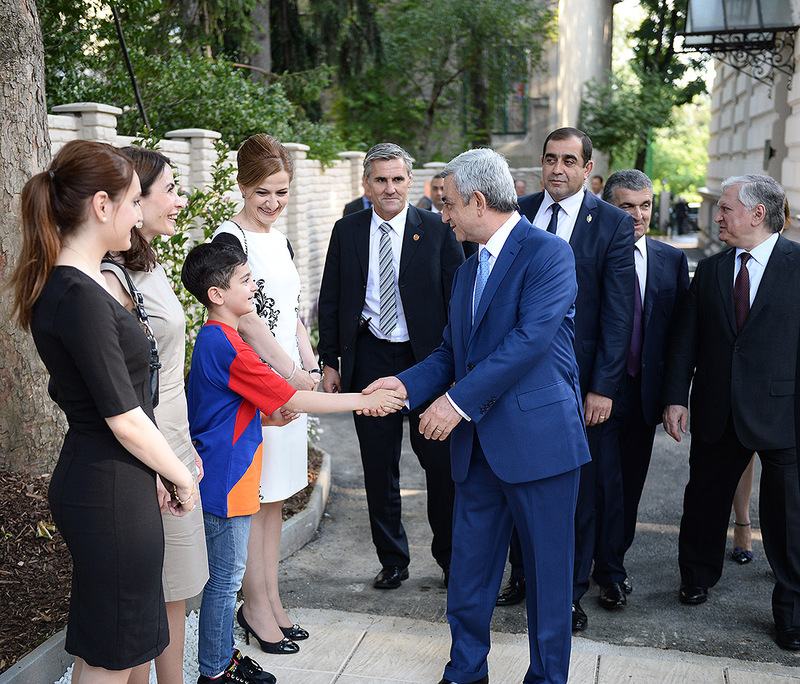 Serzh Sargsyan underscored that Armenia highly appreciates the continuous assistance the UNIDO renders to Armenia, as well as the further enlargement of cooperation programs. 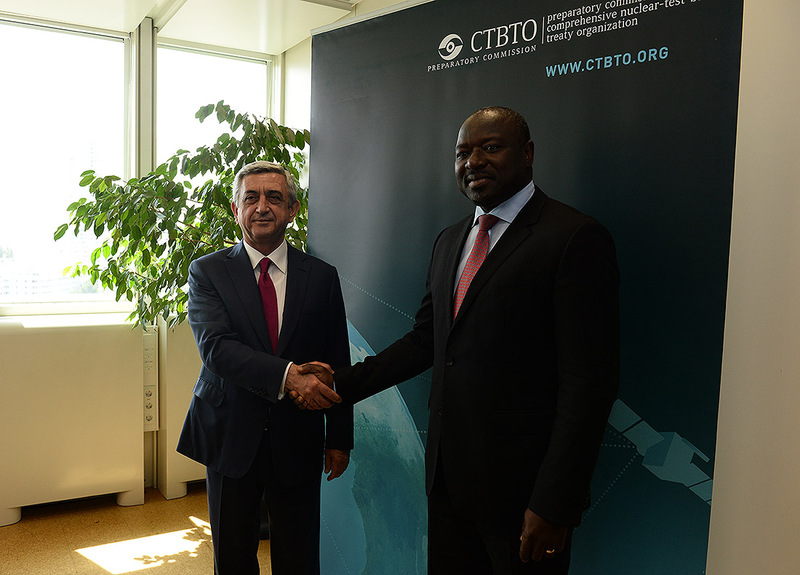 At the meeting with the Executive Secretary of the CTBTO Lassina Zerbo, the president first of all congratulated Lassina Zerbo on assuming the position of Executive Secretary and wished him effective activities. 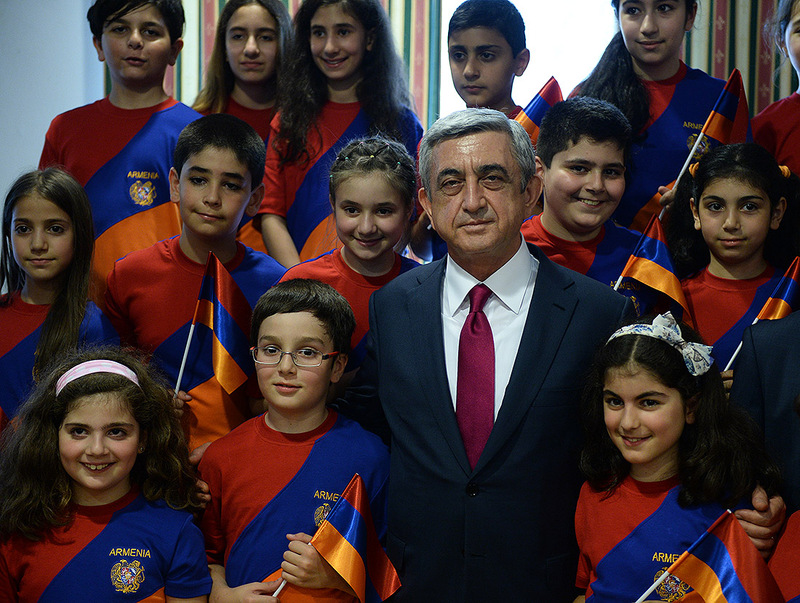 Serzh Sargsyan stressed that as a member state Armenia reaffirms its commitment to push forward toward the common goals of nuclear disarmament, non-proliferation of nuclear weapons and use of nuclear energy for peaceful purposes. 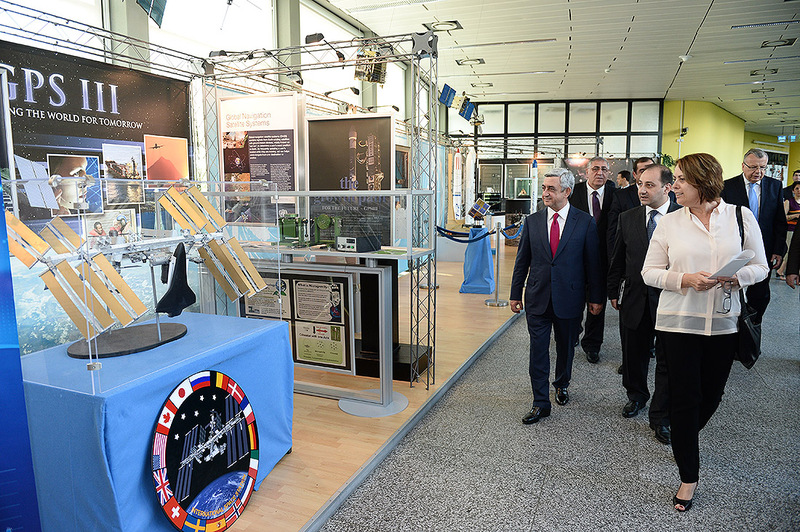 According to the president, Armenia actively cooperates with the CTBTO by participating in a number of events organized by the Commission. 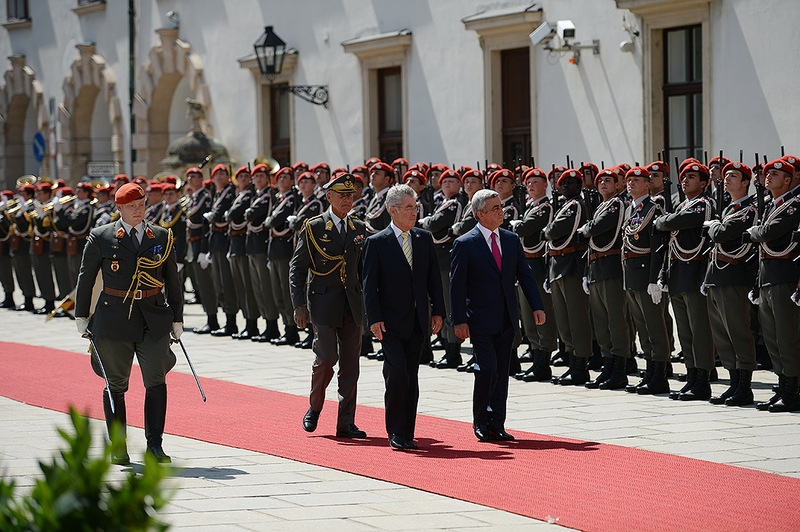 In that context, the further promotion of bilateral relations and the works aimed at enhancing cooperation were emphasized. 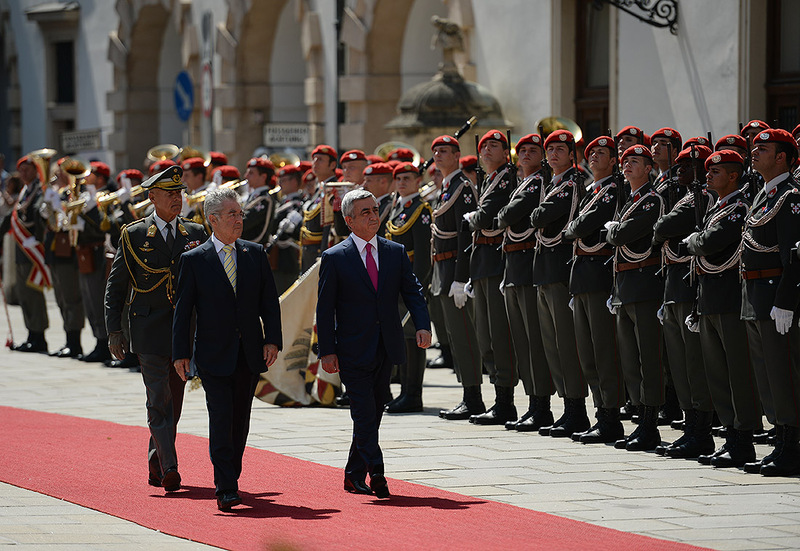 At the meeting with Yukiya Amano the president underlined that our country attaches great importance to cooperating with the IAEA considering it the important component of nuclear and energy security. 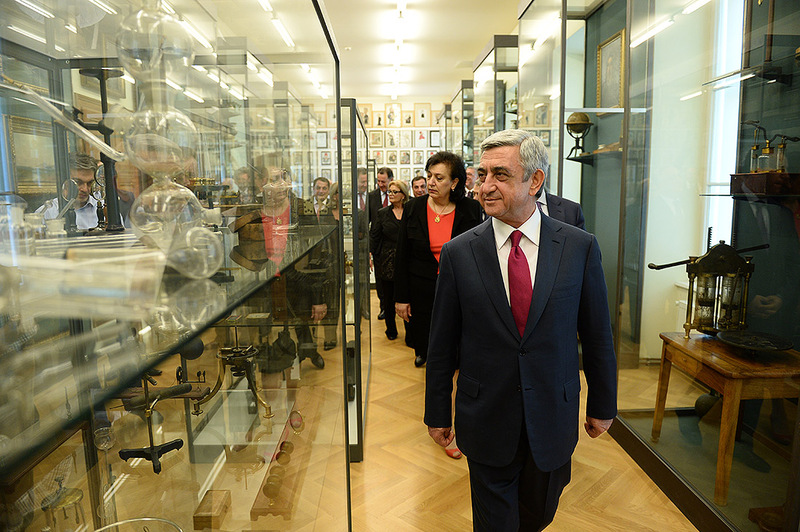 The president assured that nuclear energy is of vital importance for Armenia’s energy independence and Armenia will continue to closely cooperate with the IAEA with regard to all nuclear energy issues, including the security of the currently operating Armenian nuclear power plant and its decommissioning, as well as the construction of a new energy block and its exploitation. 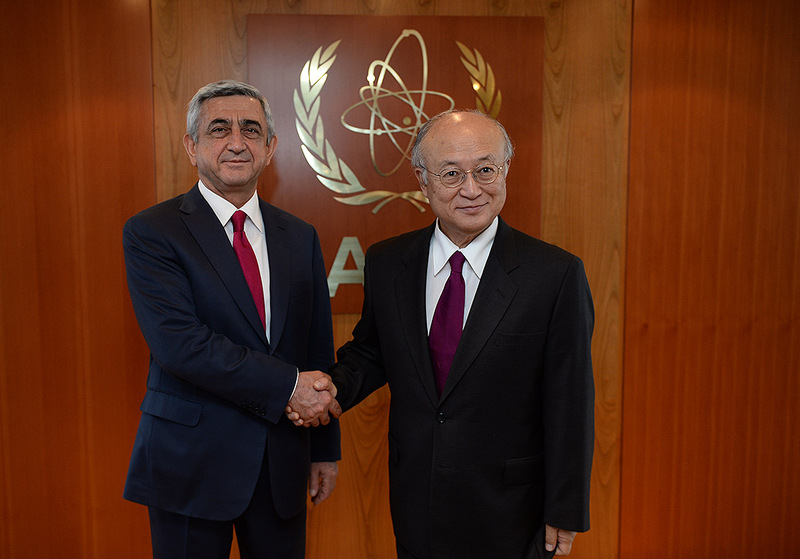 The interlocutors also discussed the Armenia-IAEA bilateral cooperation and issues regarding the exploitation of the current atomic energy block, the new atomic energy block and other cooperation spheres. 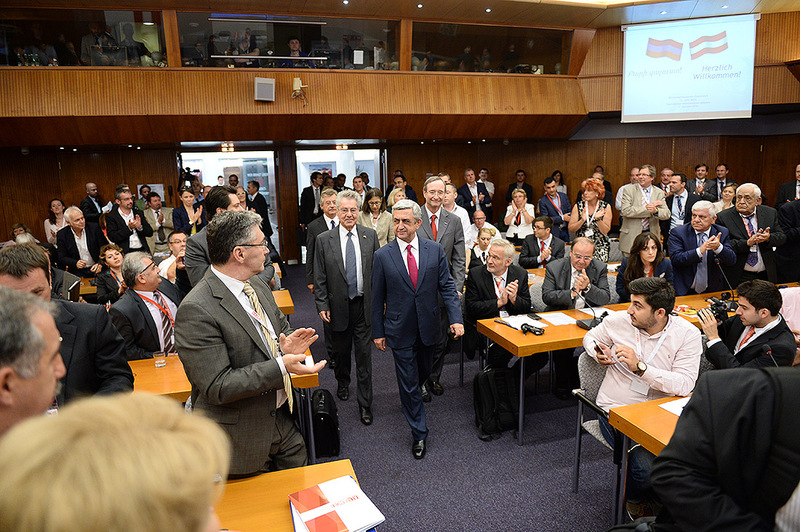 The parties praised the present Armenia-IAEA cooperation level and underscored that they are committed to making efforts at reinforcing and enhancing it. 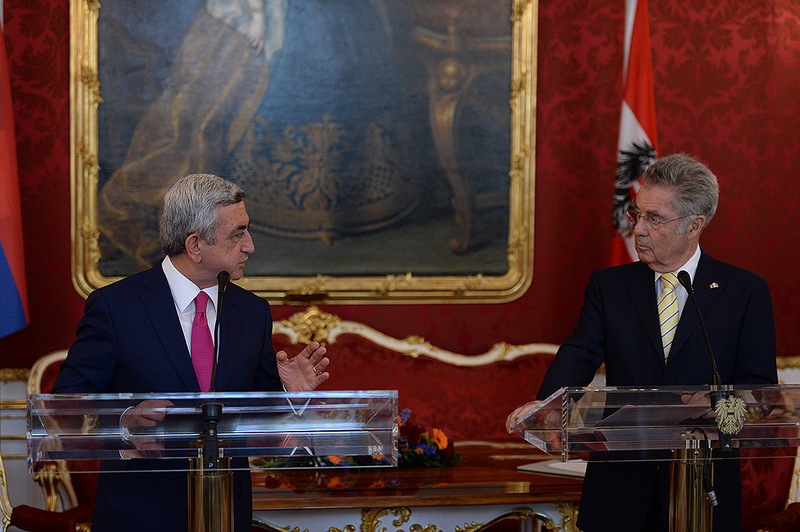 On June 12 in Vienna, President Serzh Sargsyan held a meeting with Federal Chancellor Werner Faymann of the Republic of Austria. 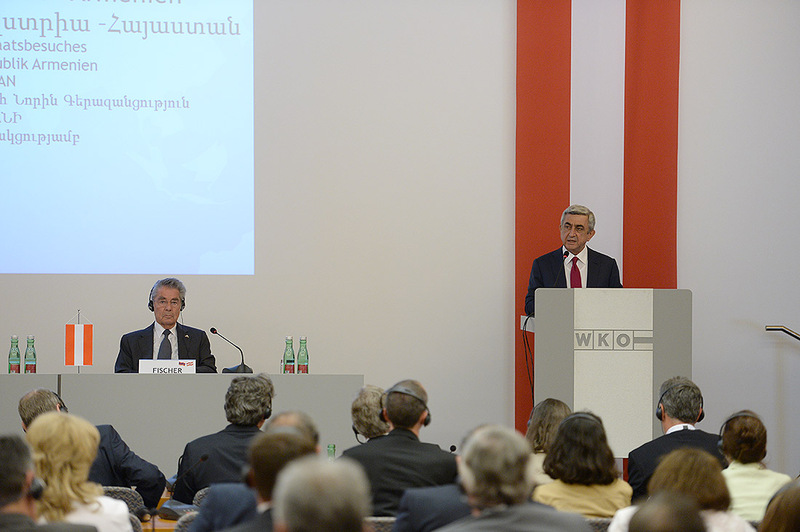 Serzh Sargsyan praised the continuous promotion of the Armenian-Austrian multi-sector collaboration during Werner Faymann’s time in office, but added, at the same time, that there is still great unrealized potential for bilateral cooperation. 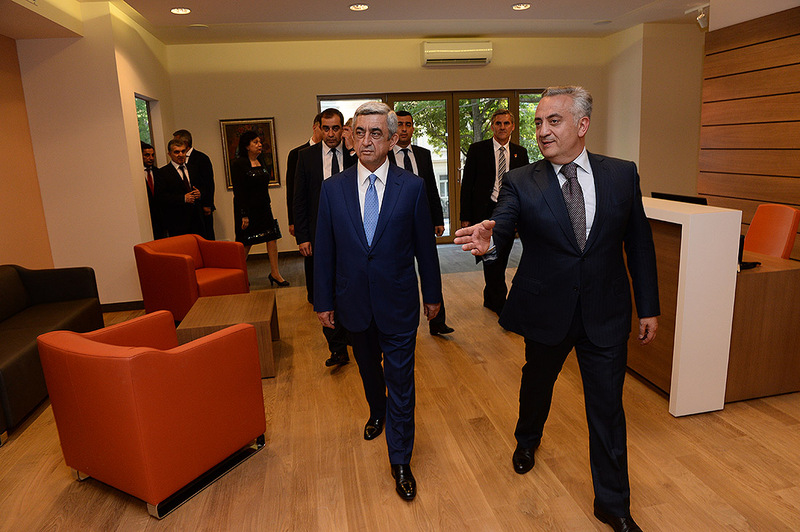 The President of Armenia assured that the Armenian government is ready to undertake additional steps aimed at further enlarging the bilateral agenda and promoting collaboration. 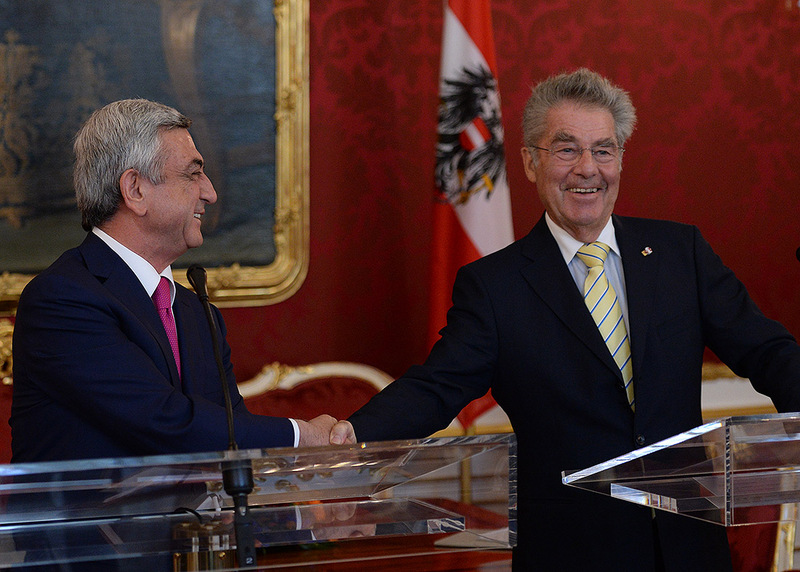 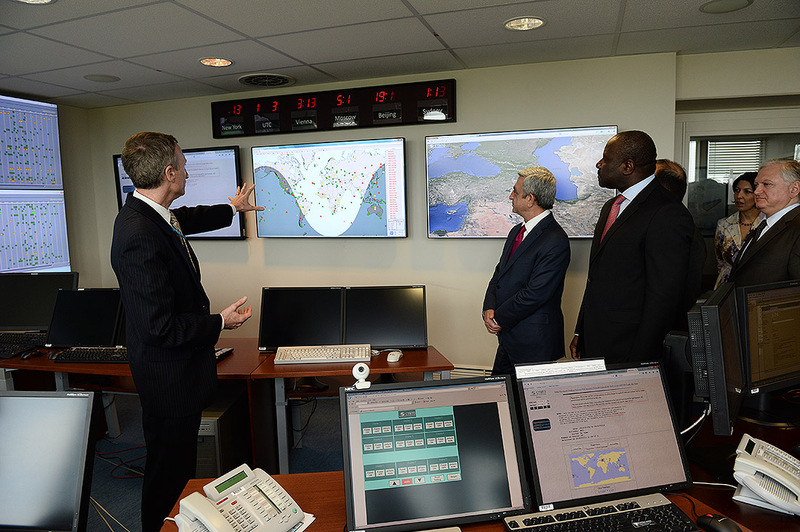 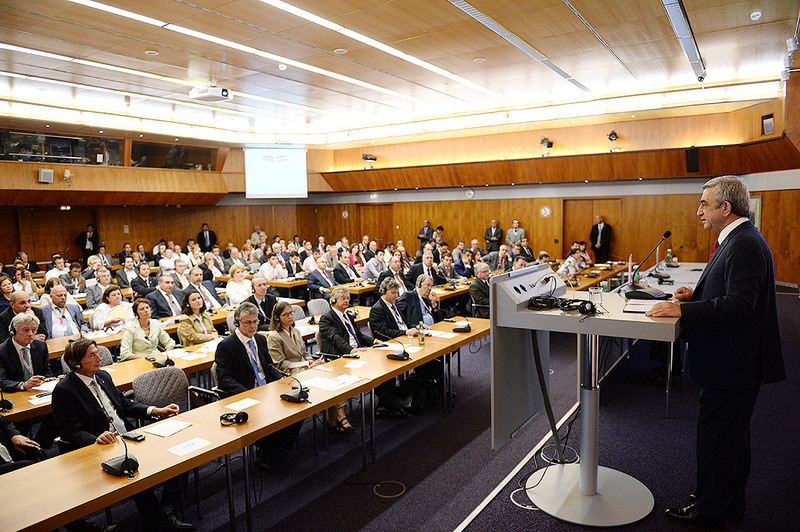 Chancellor Werner Faymann mentioned that he is likewise personally committed to that goal. 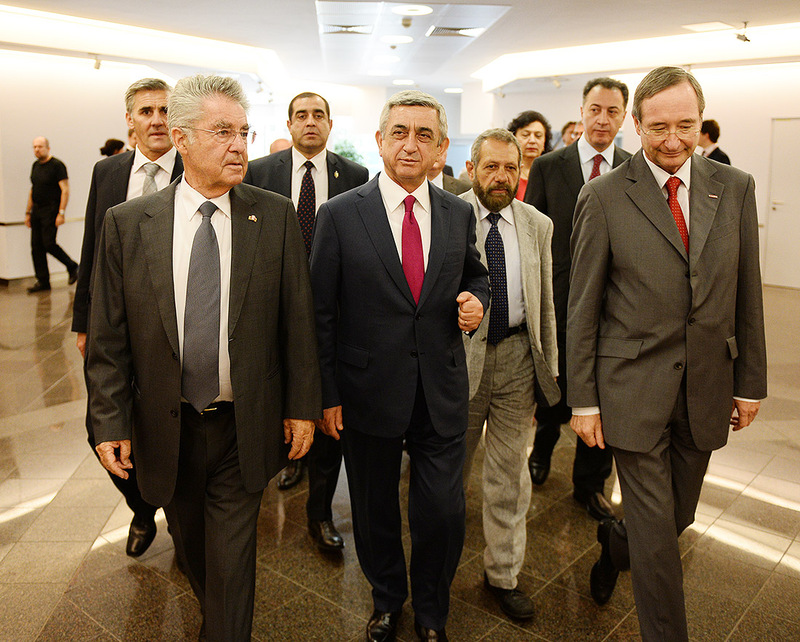 At the meeting, the parties stressed the importance of the economic forum held within the framework of the Armenian President’s official visit to Austria and the arrangements made there. 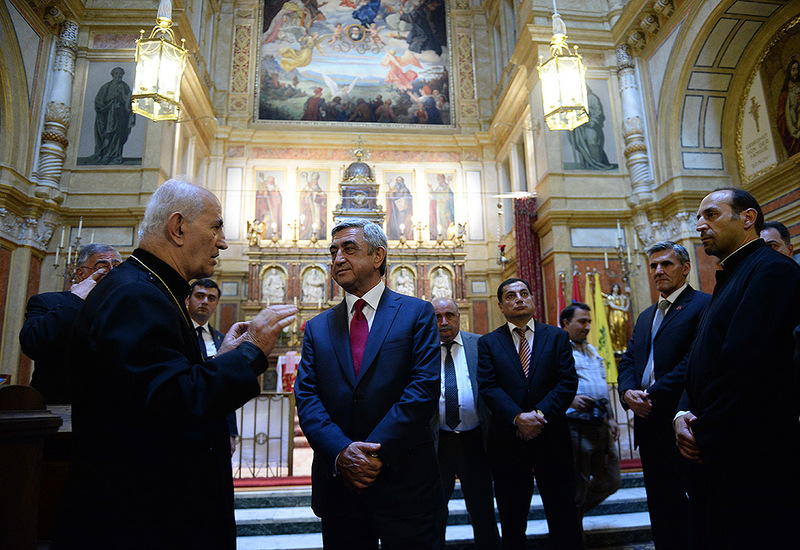 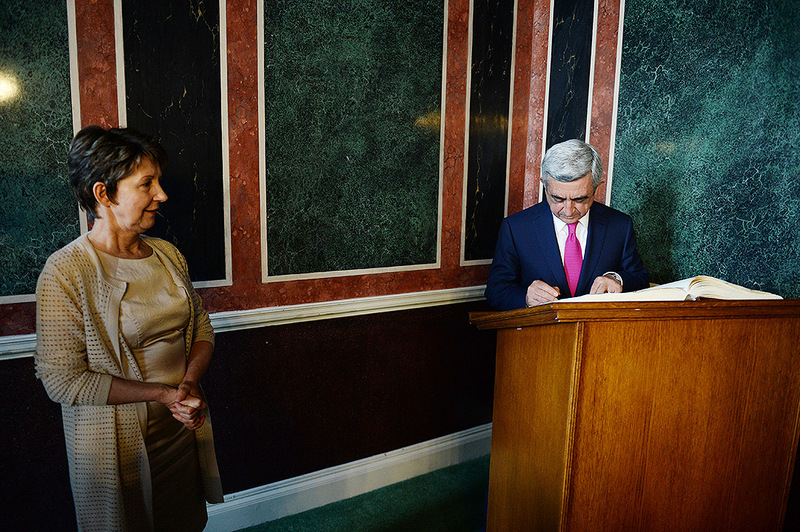 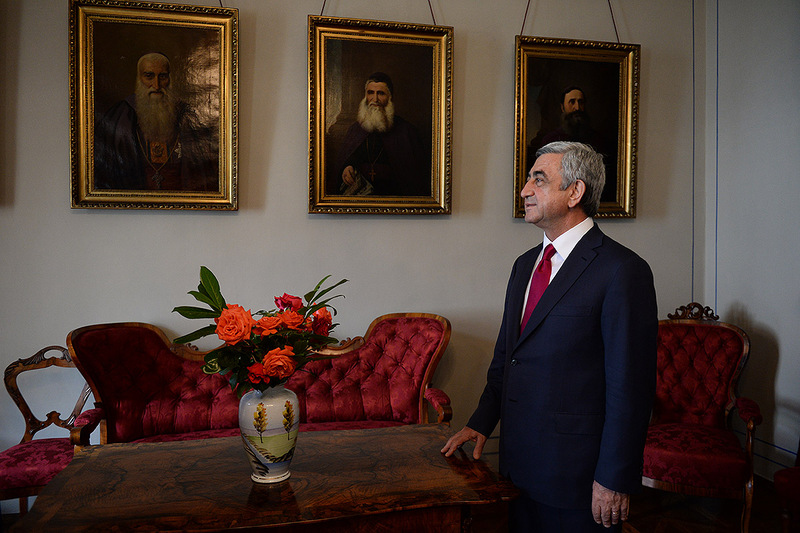 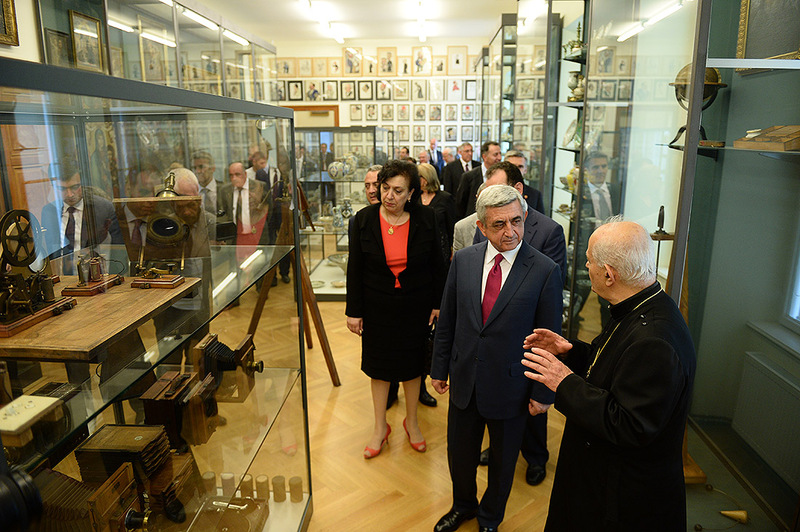 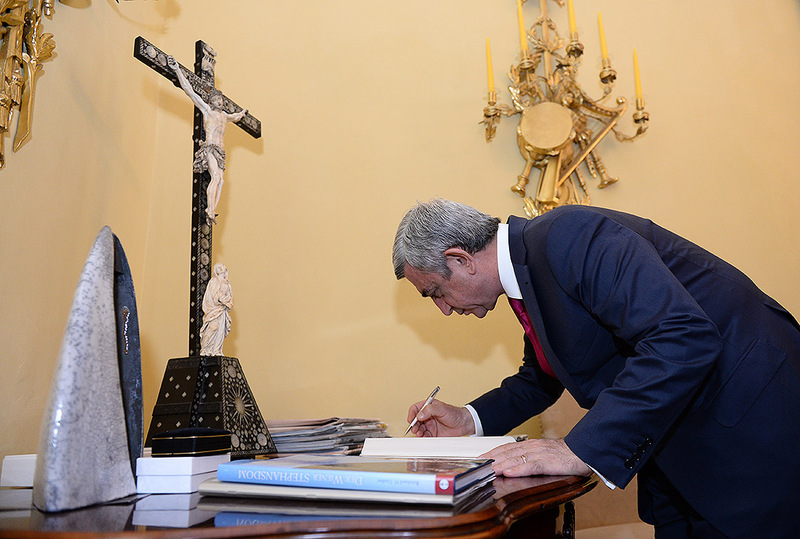 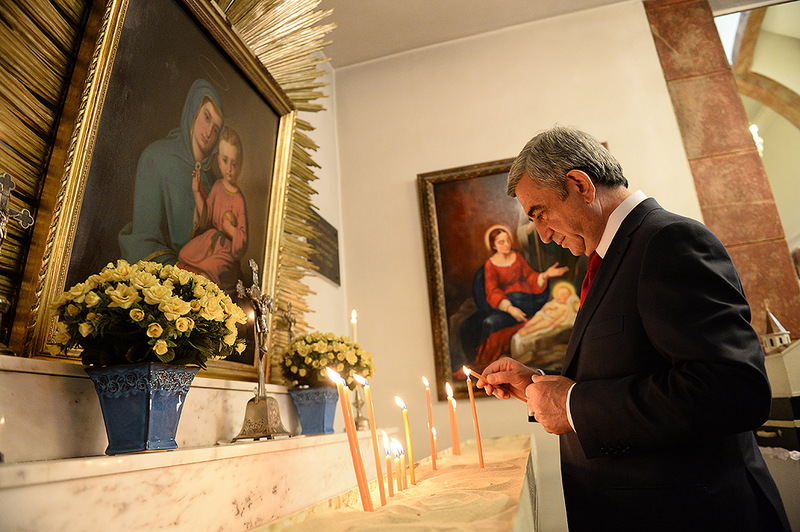 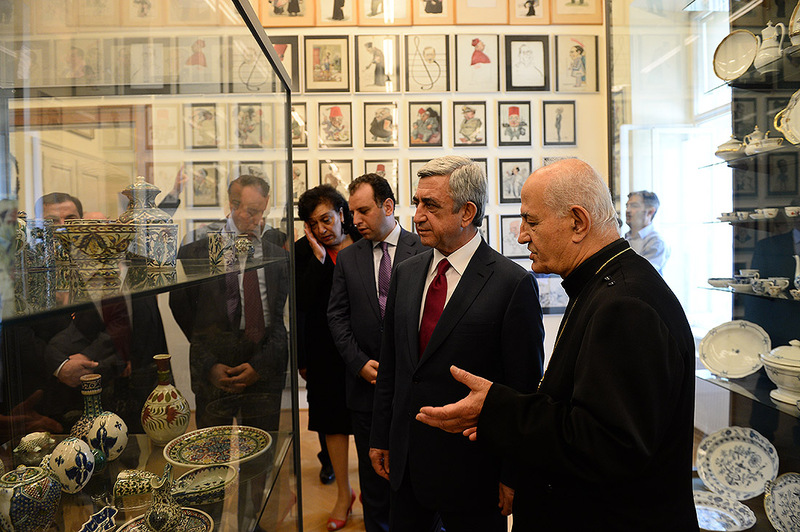 In Austria, Serzh Sargsyan visited the Mekhitarist Congregation of Vienna, the Church of Saint Mary the Virgin, as well as the library and museum of the Congregation. 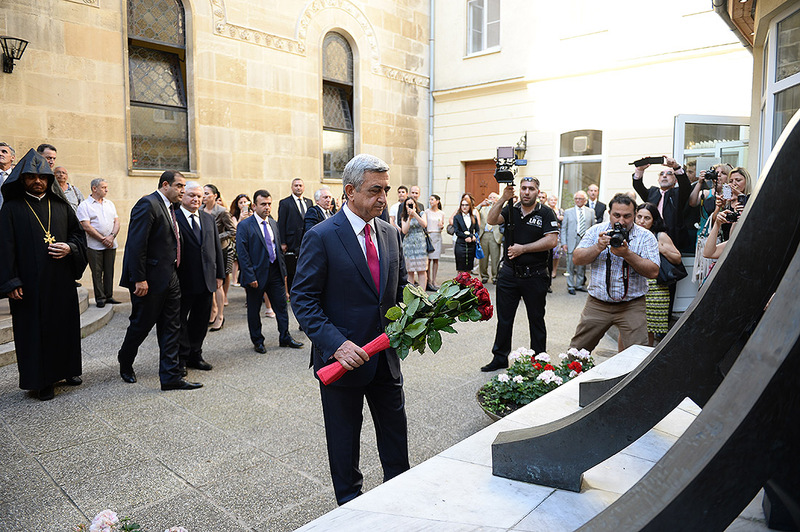 The president also visited Saint Hripsime Armenian Apostolic Church in order to pay tribute to the memory of the Armenian Genocide victims by placing flowers at the monument installed in the yard of the church.